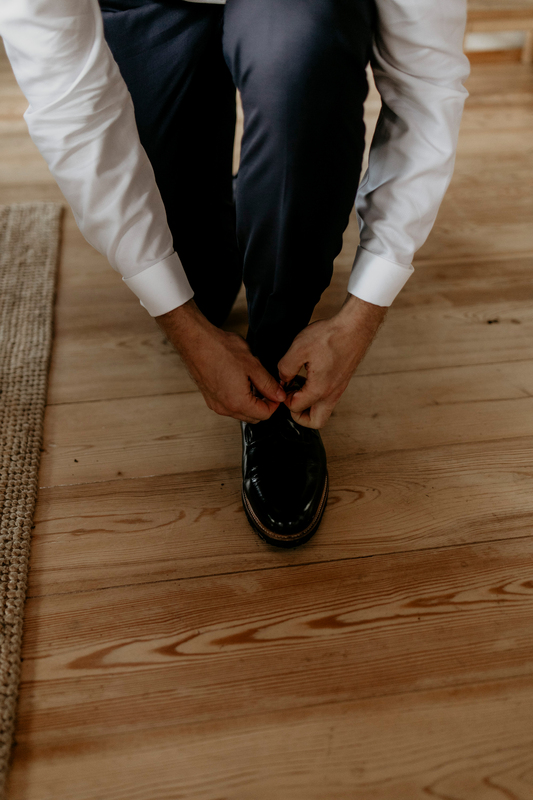 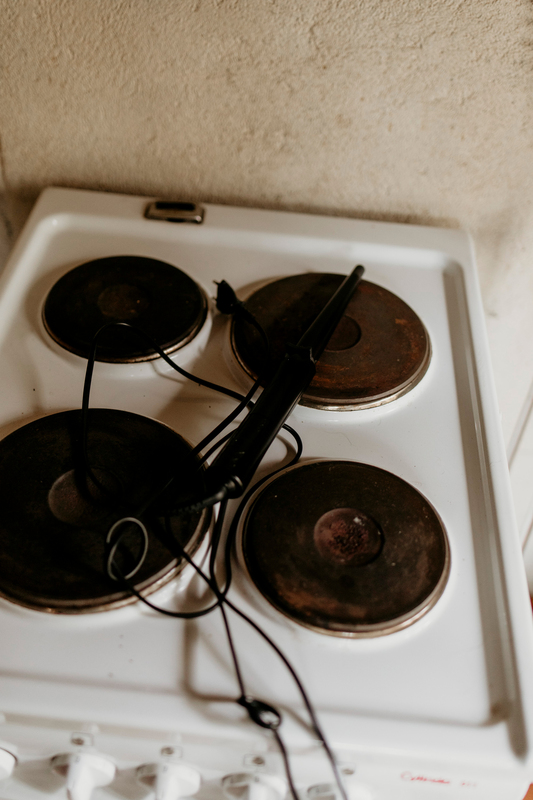 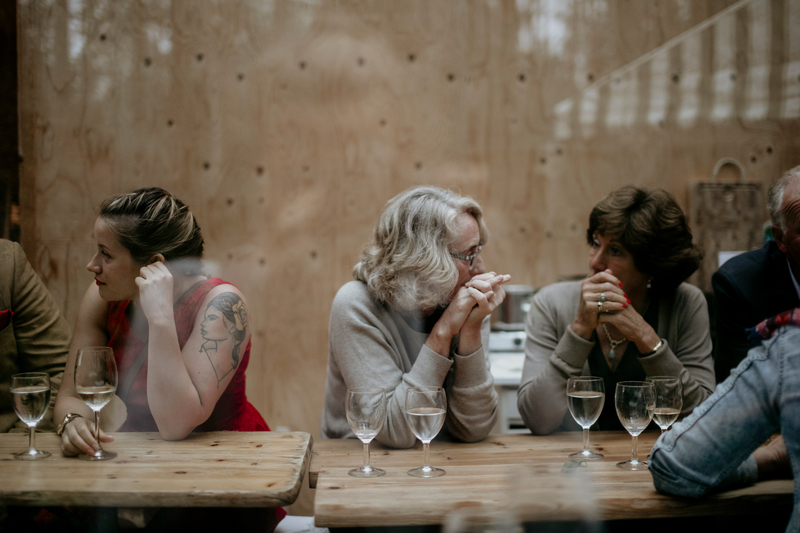 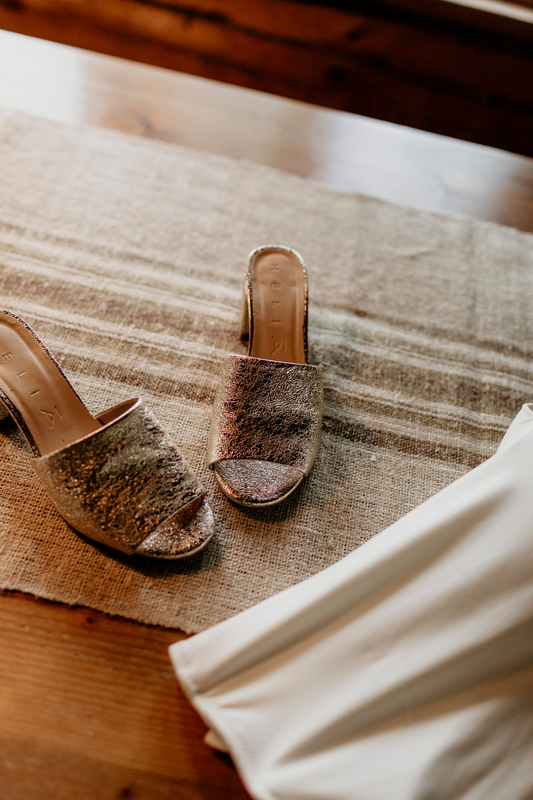 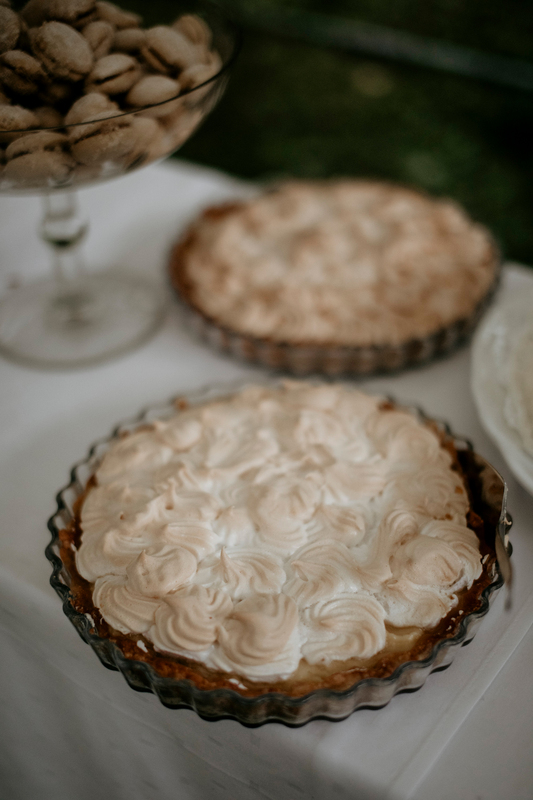 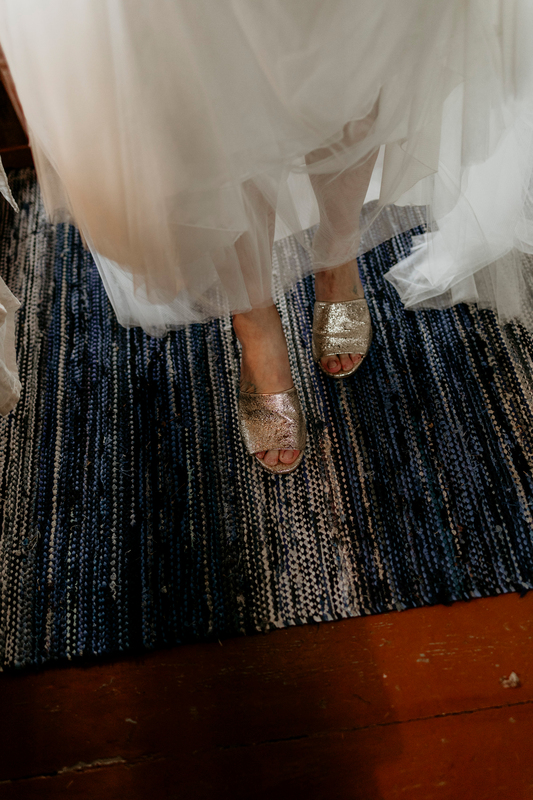 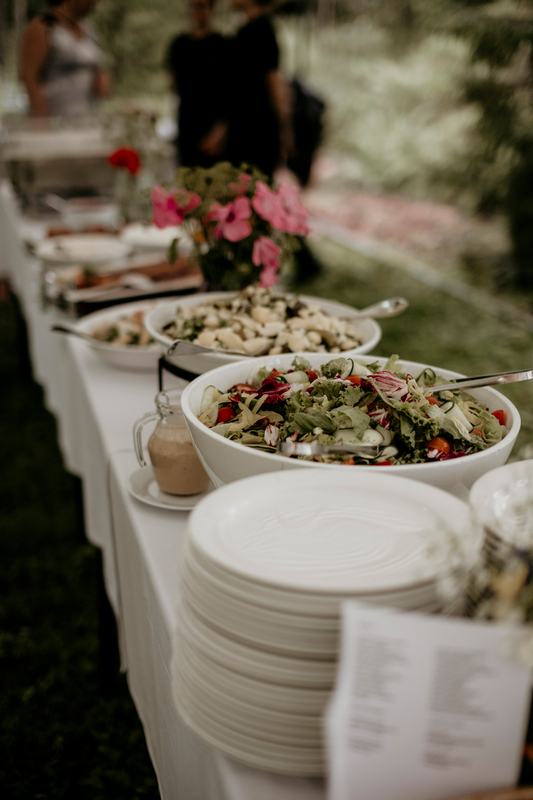 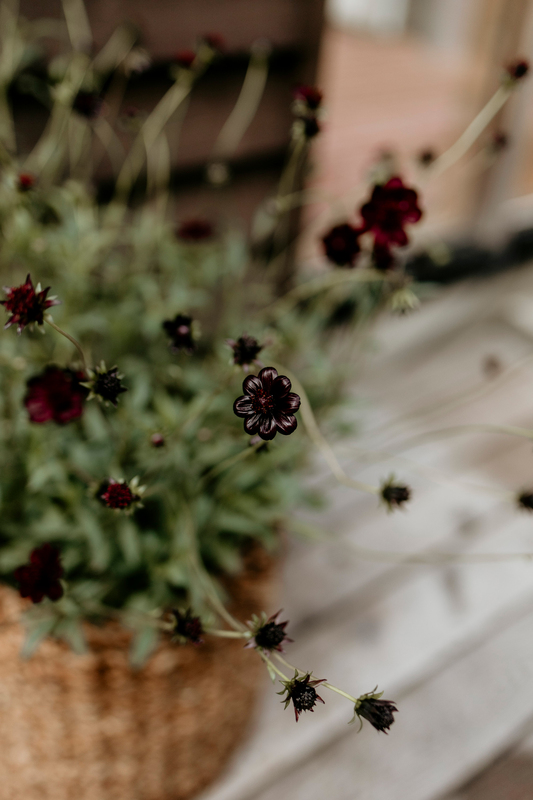 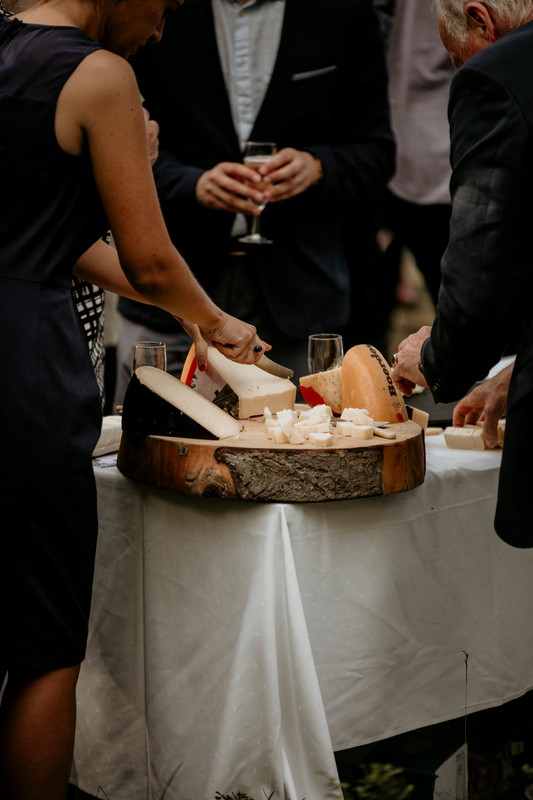 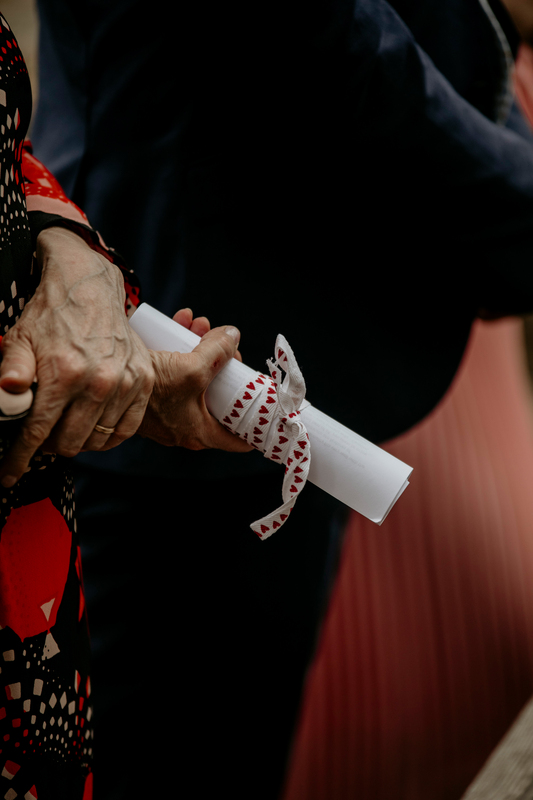 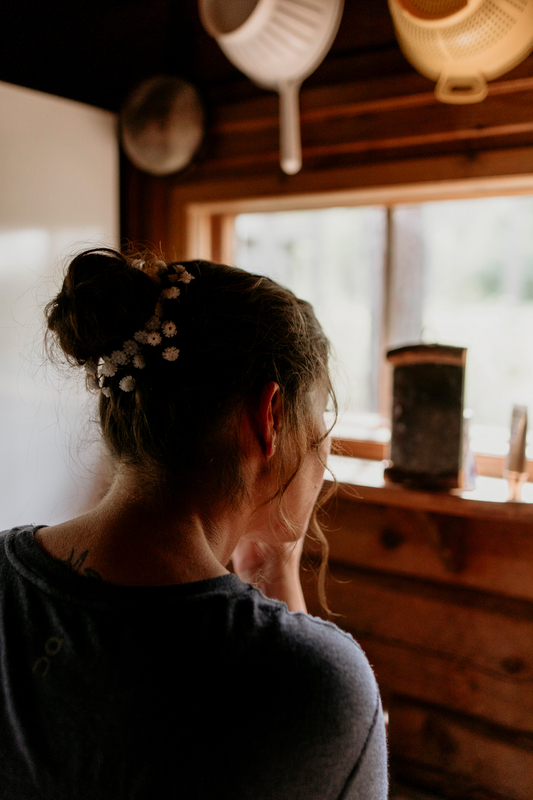 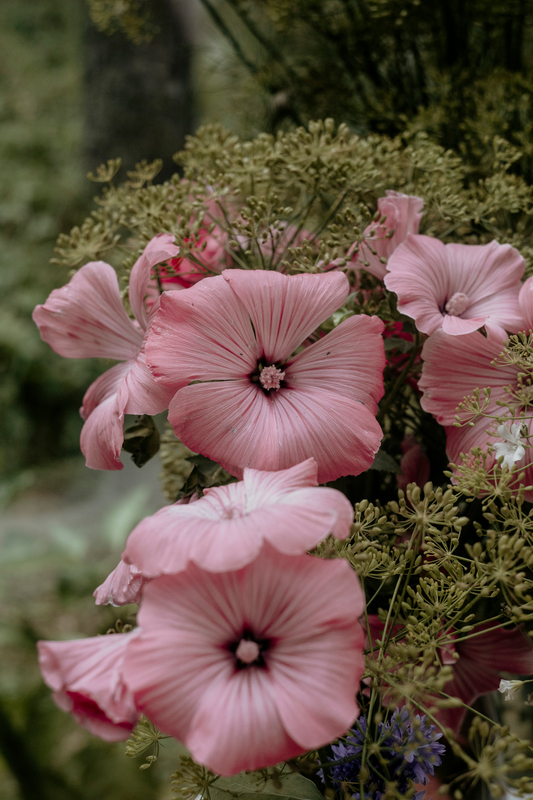 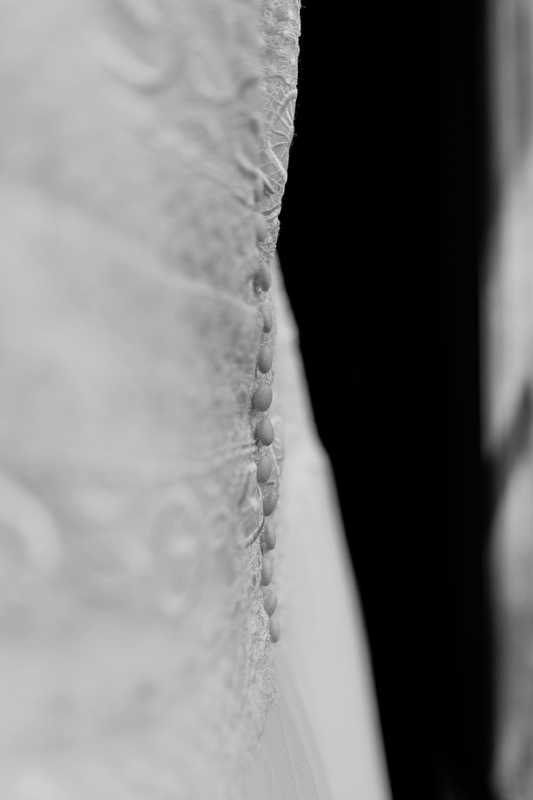 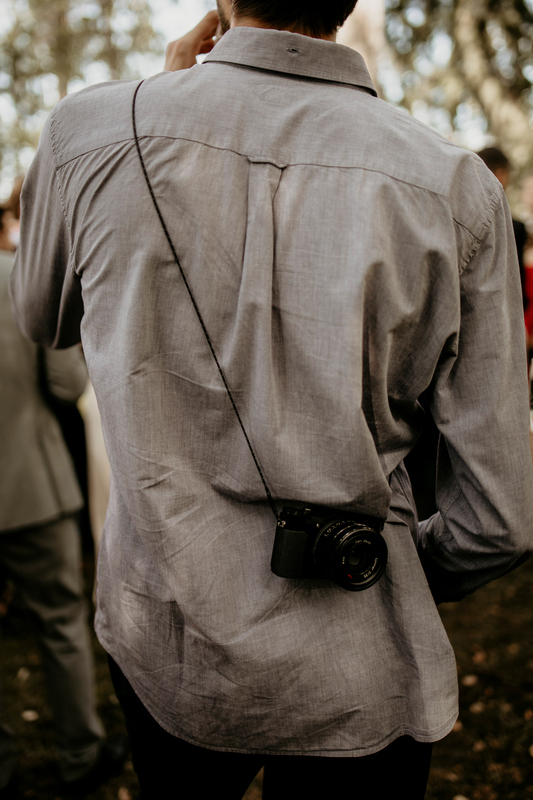 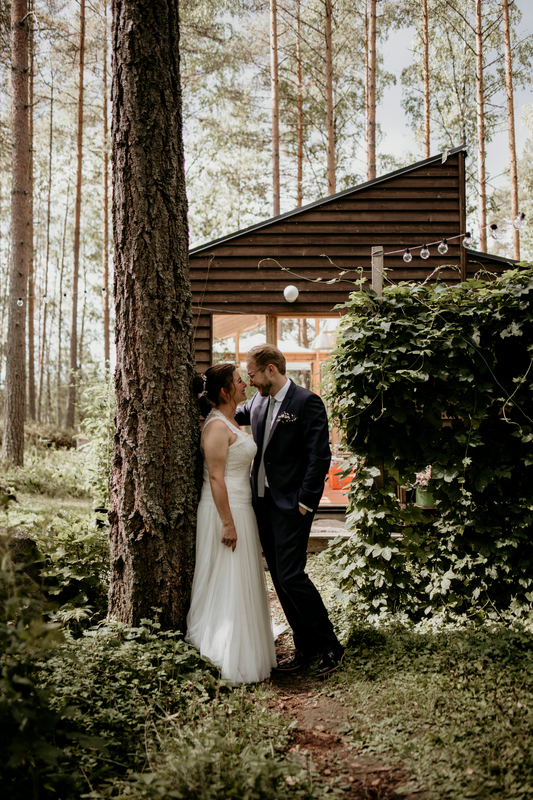 It was my first time documenting a cottage wedding. 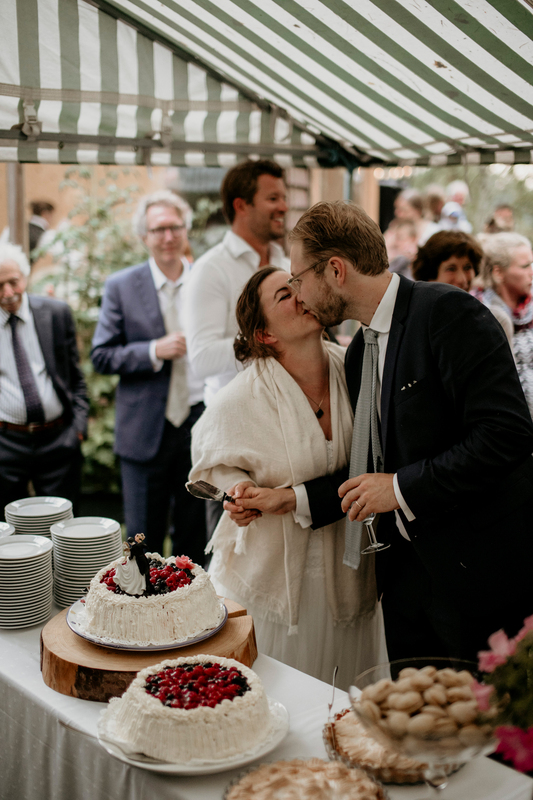 Carolien and Olli met each other years ago in Zurich. 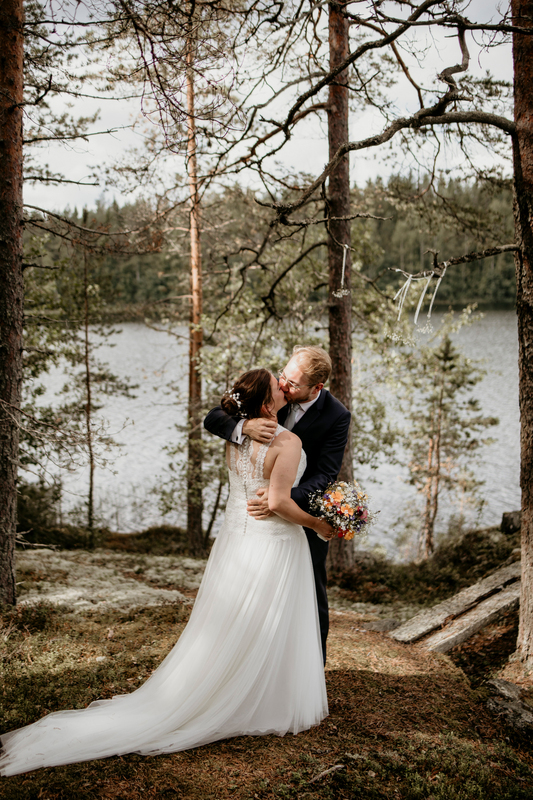 They fell in love. 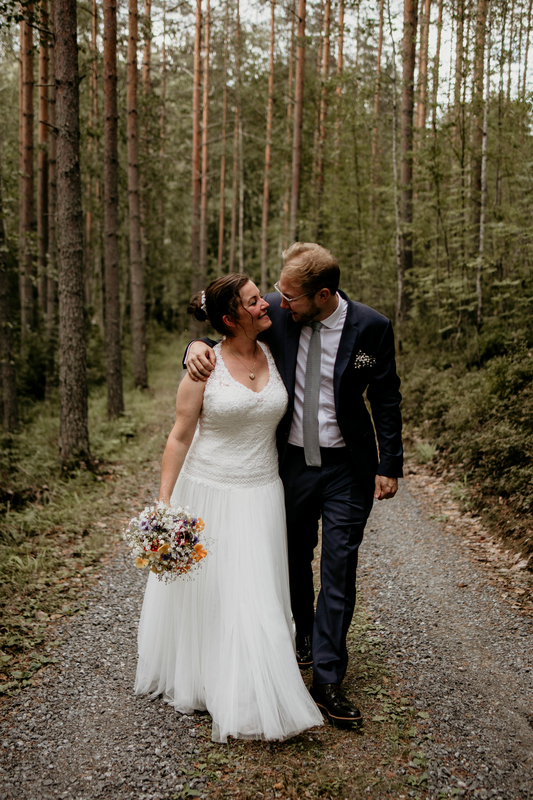 In the summer of 2018 they tied the knot. 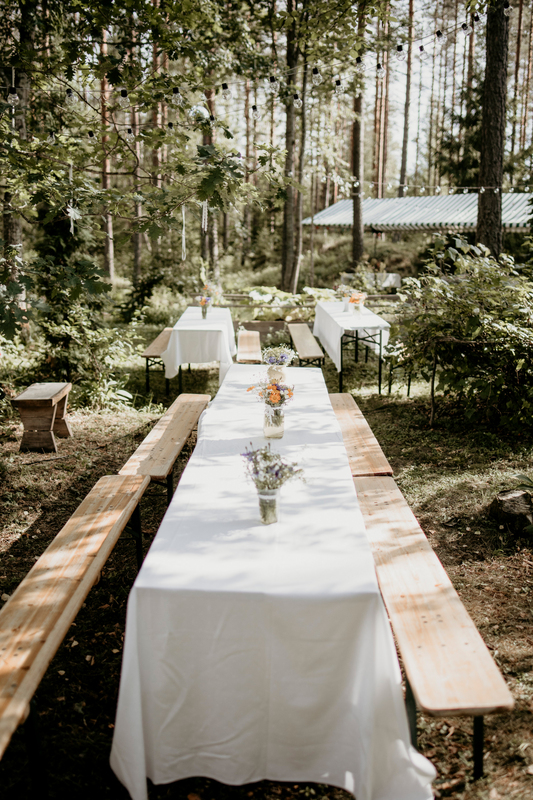 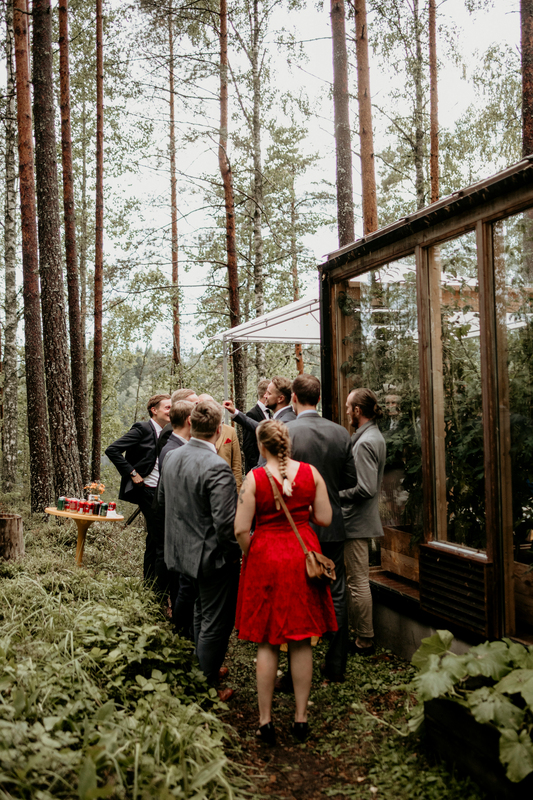 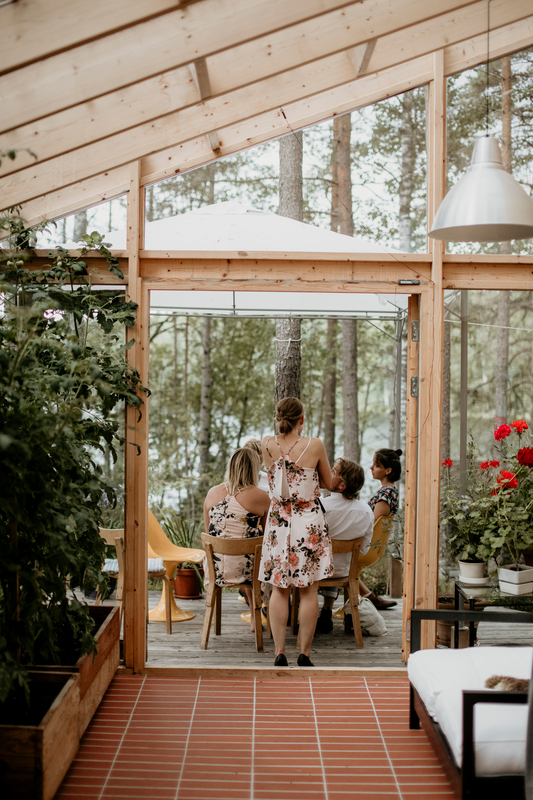 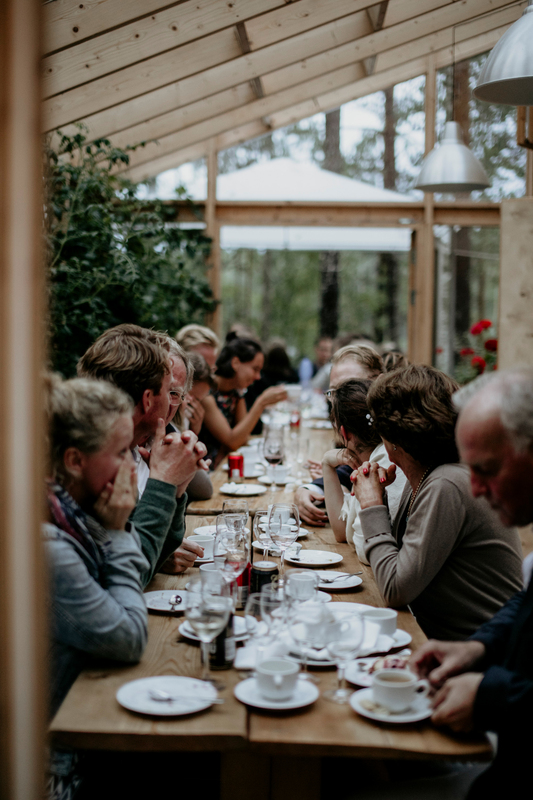 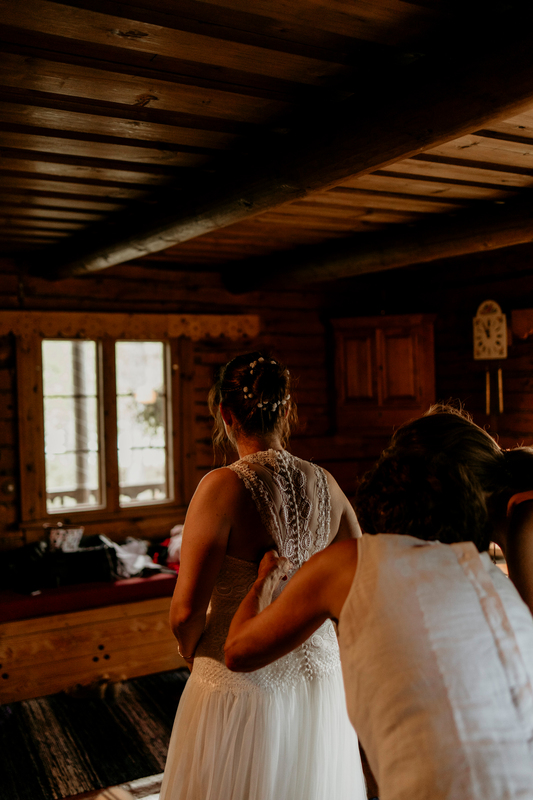 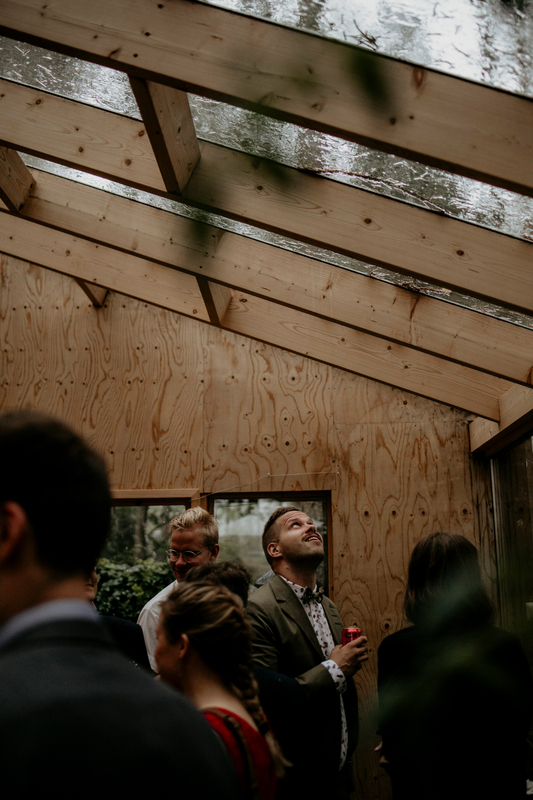 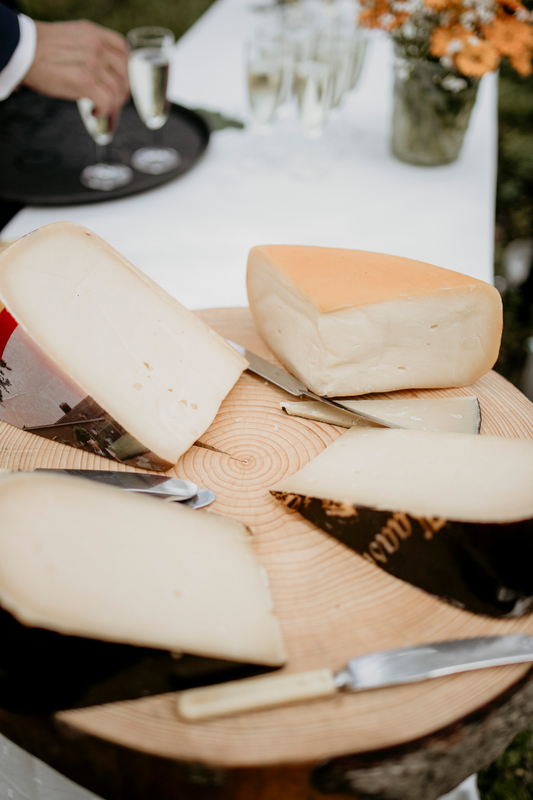 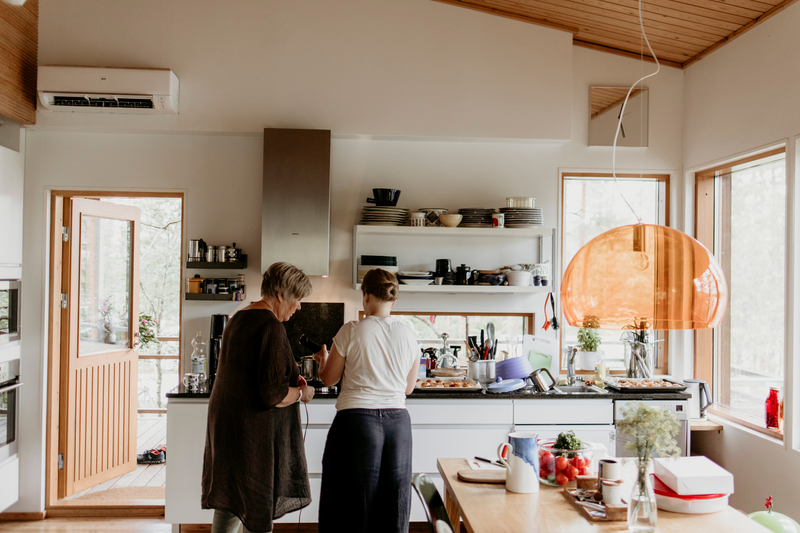 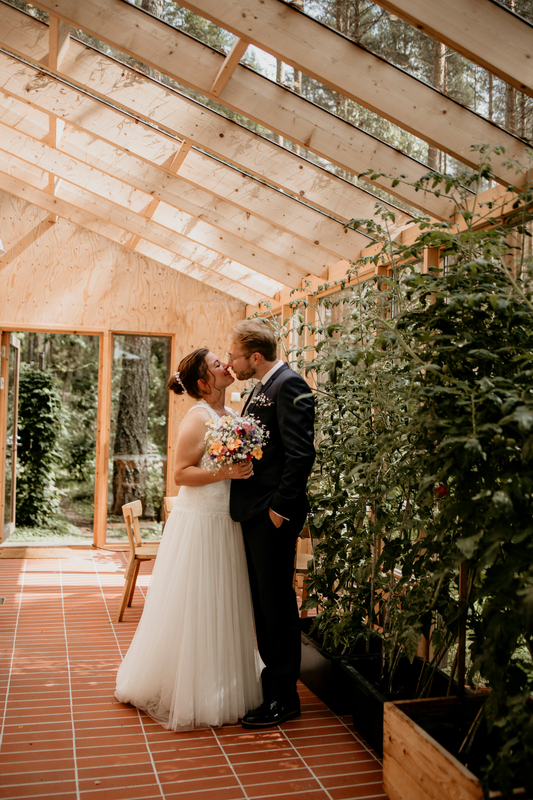 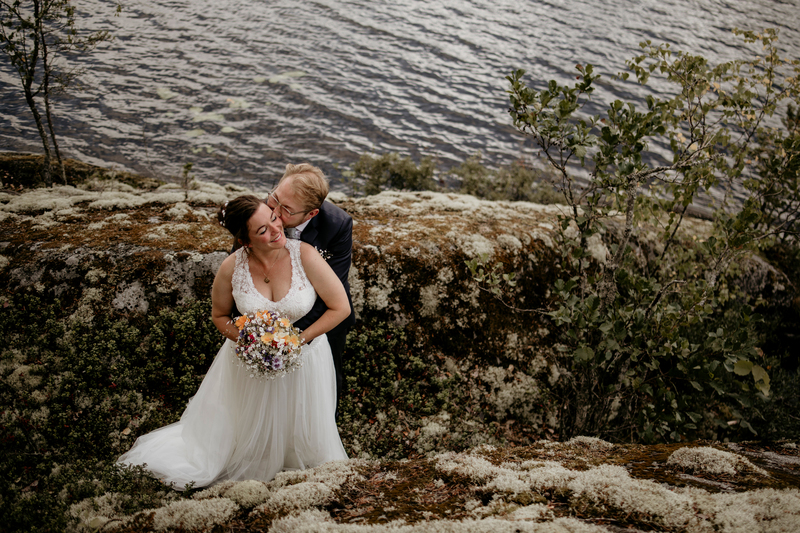 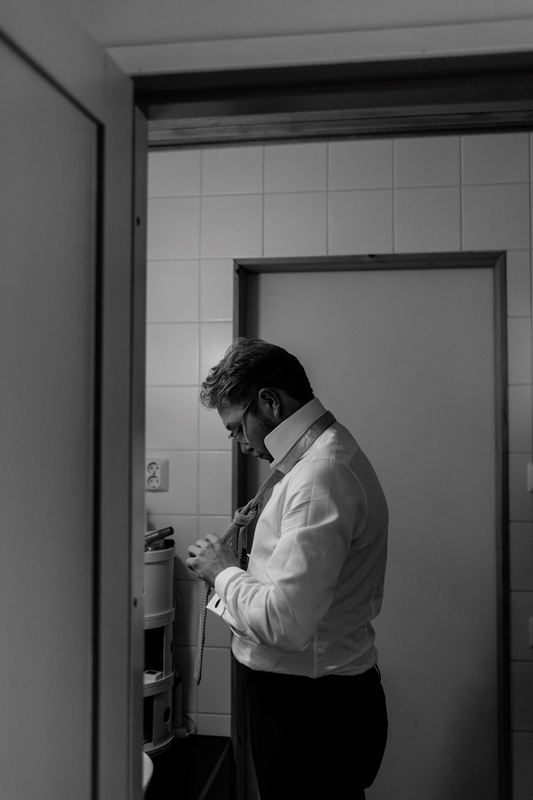 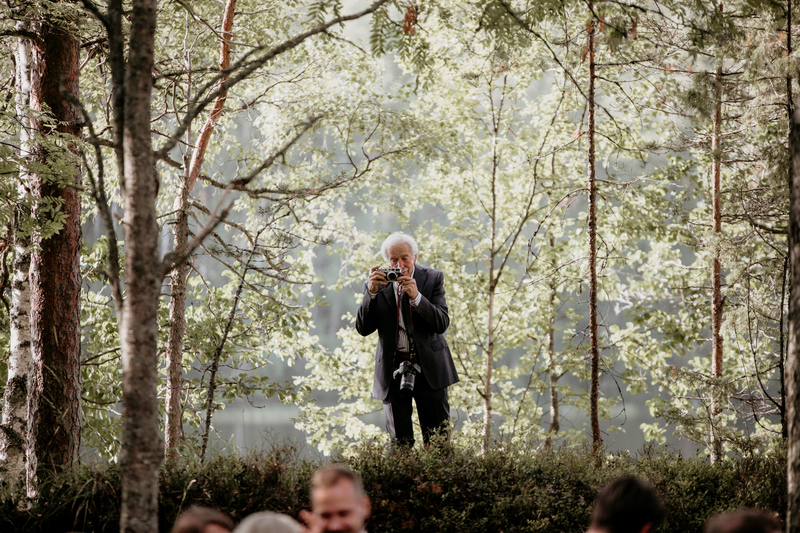 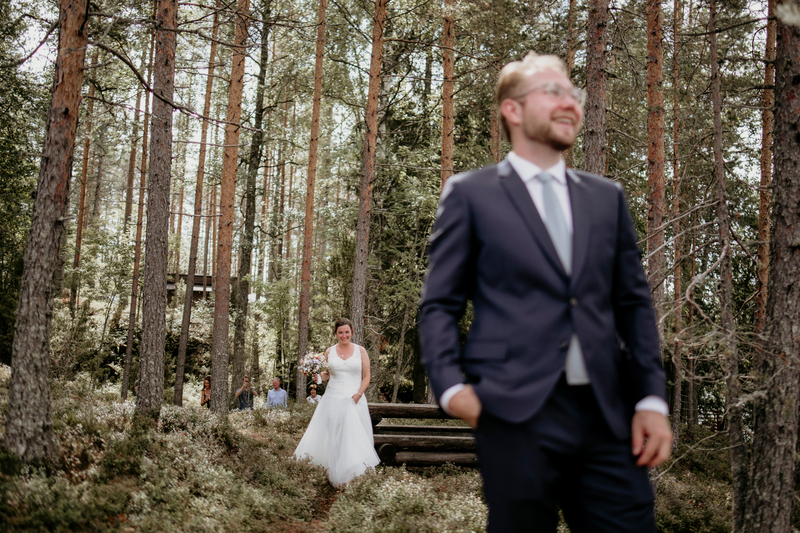 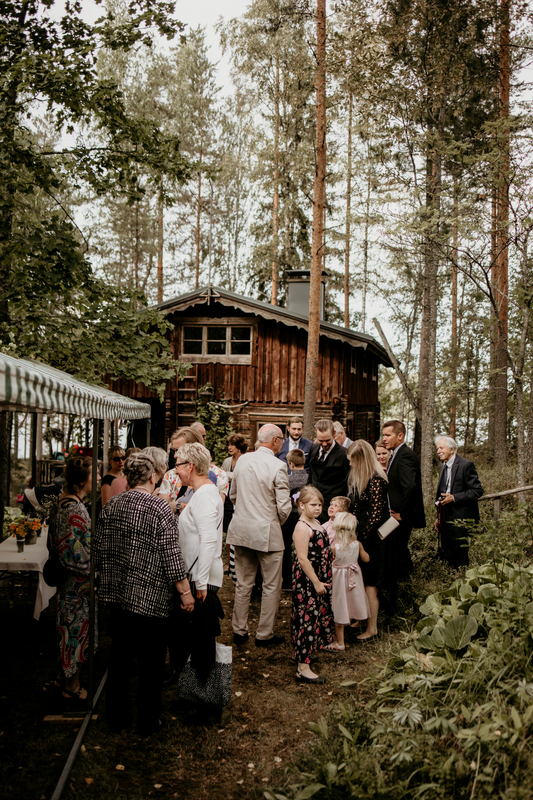 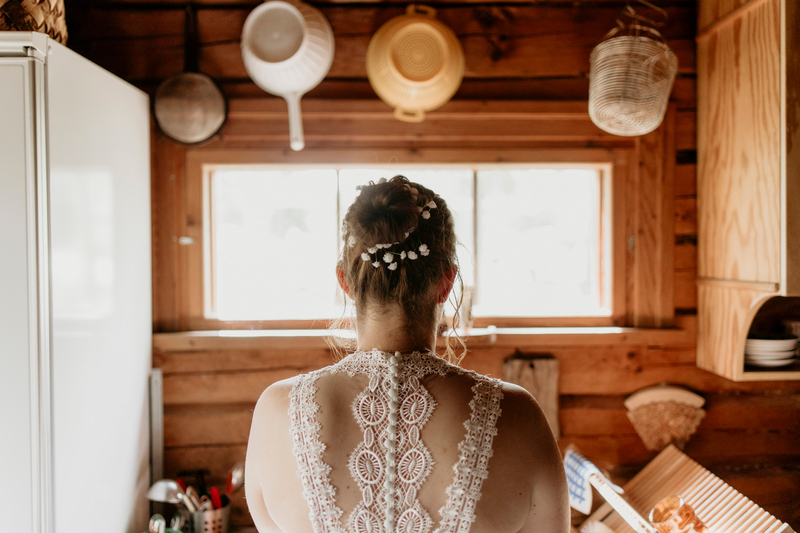 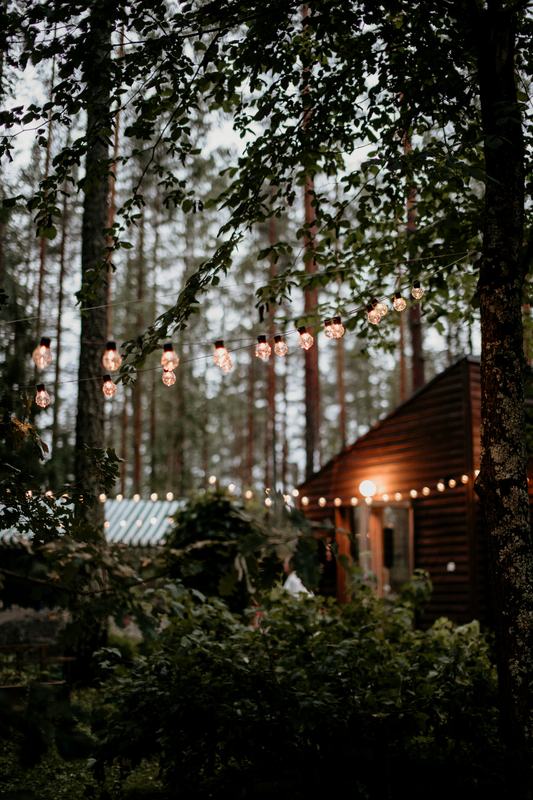 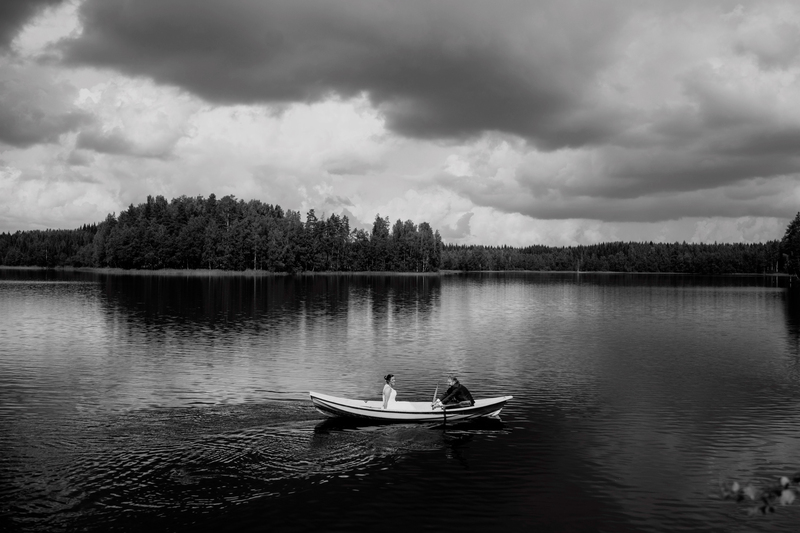 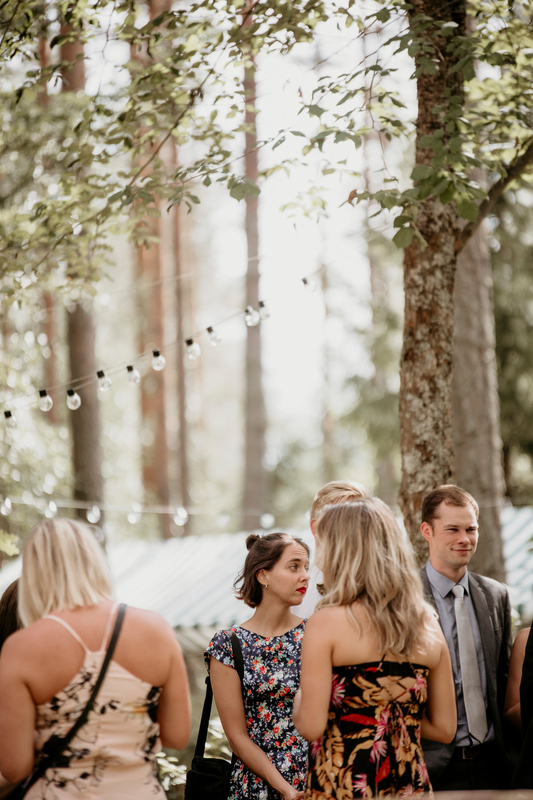 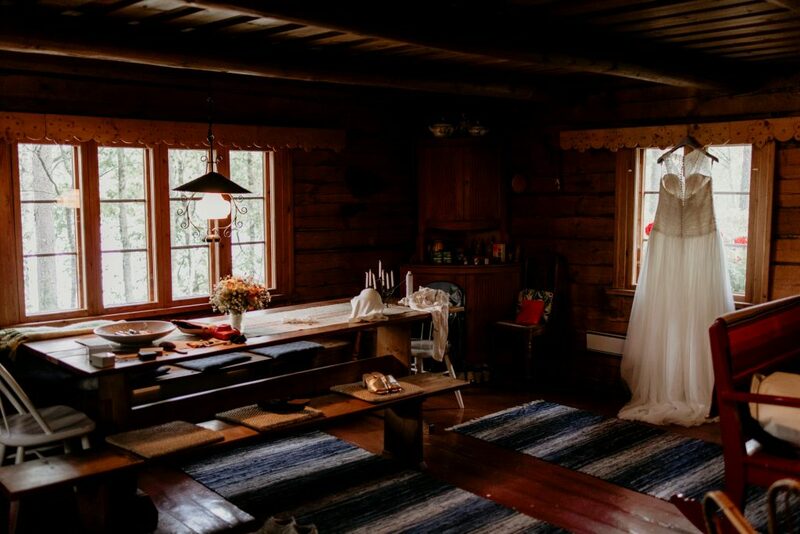 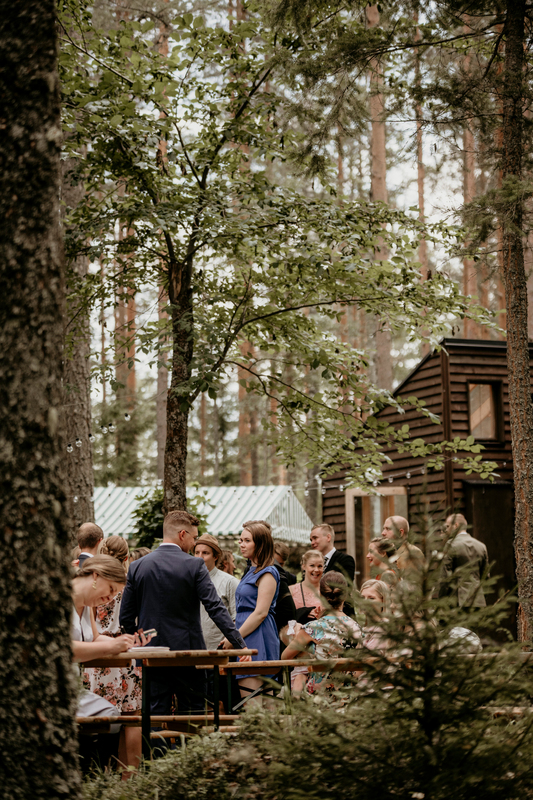 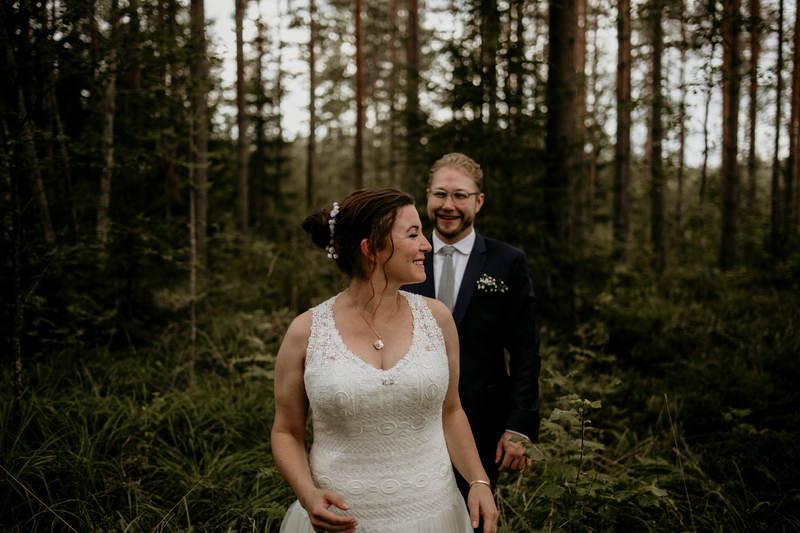 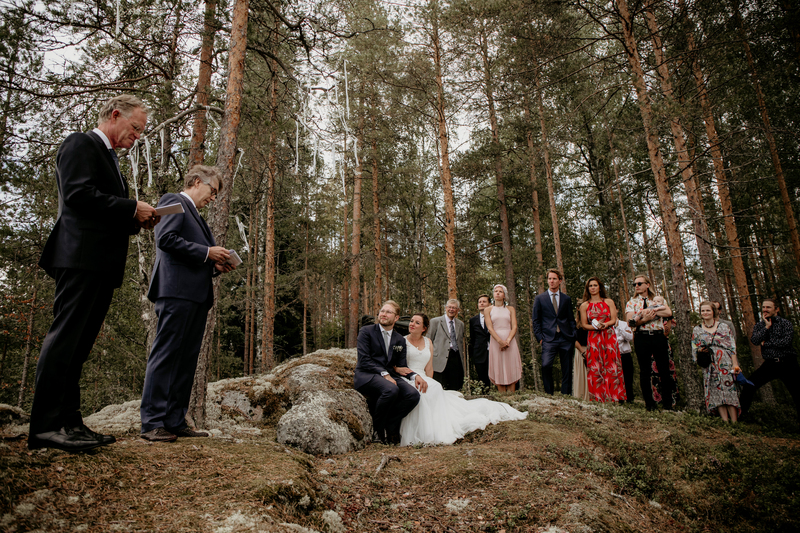 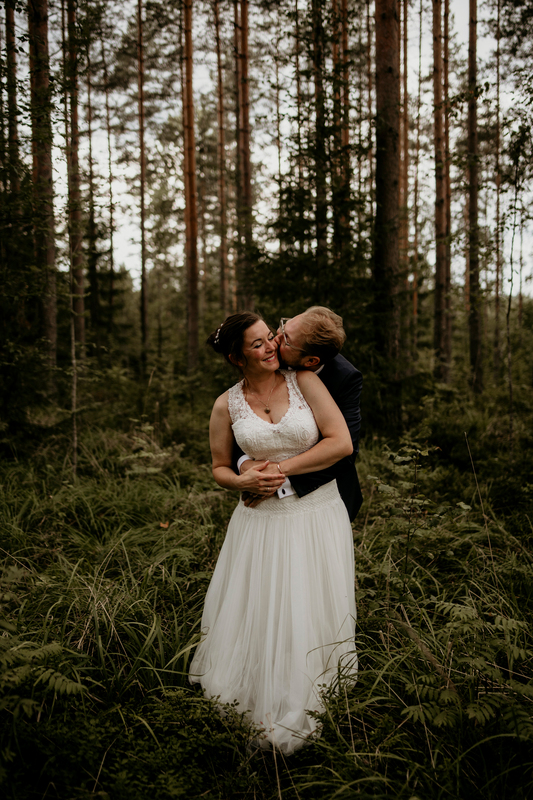 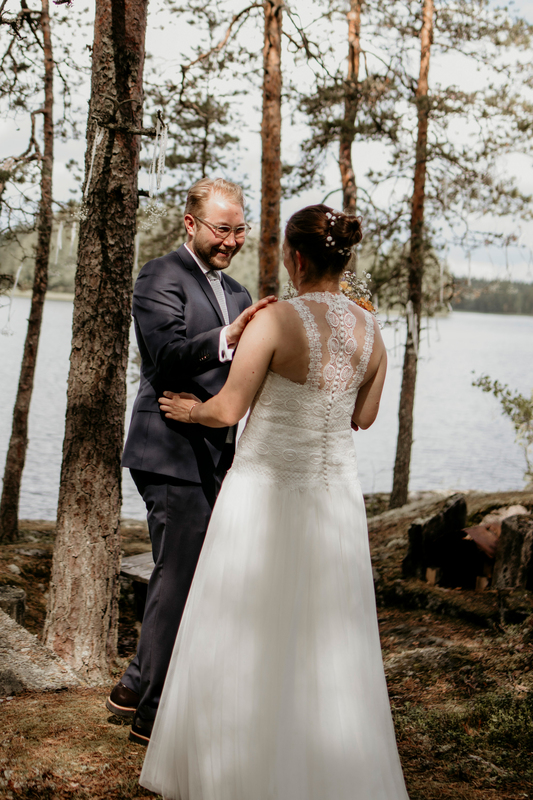 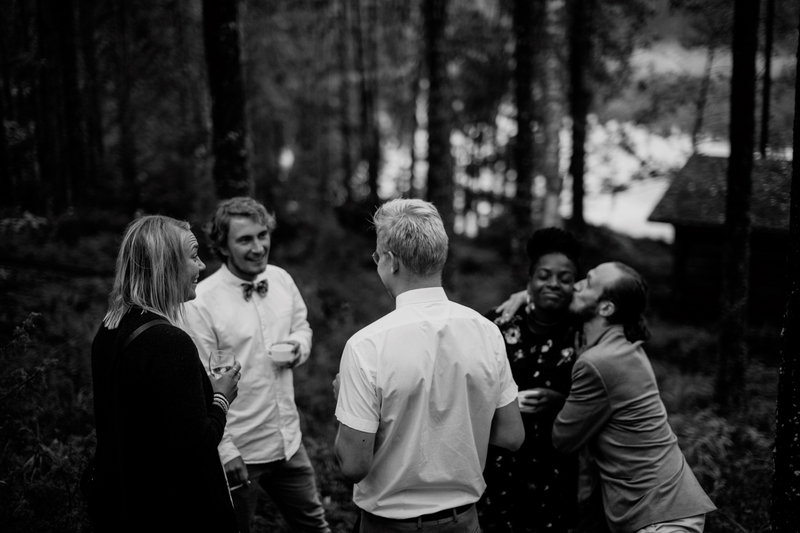 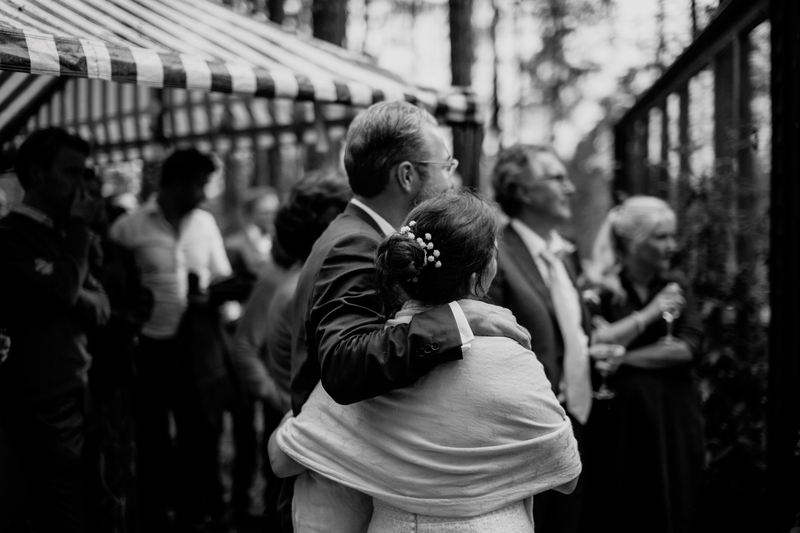 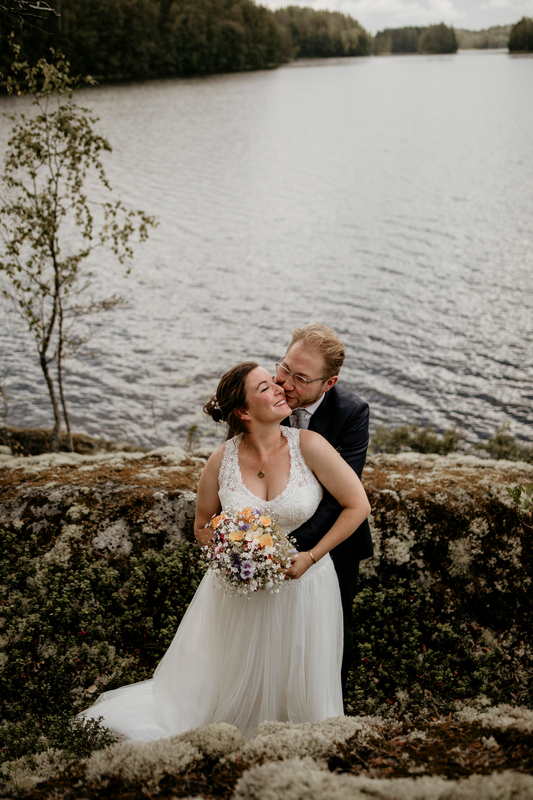 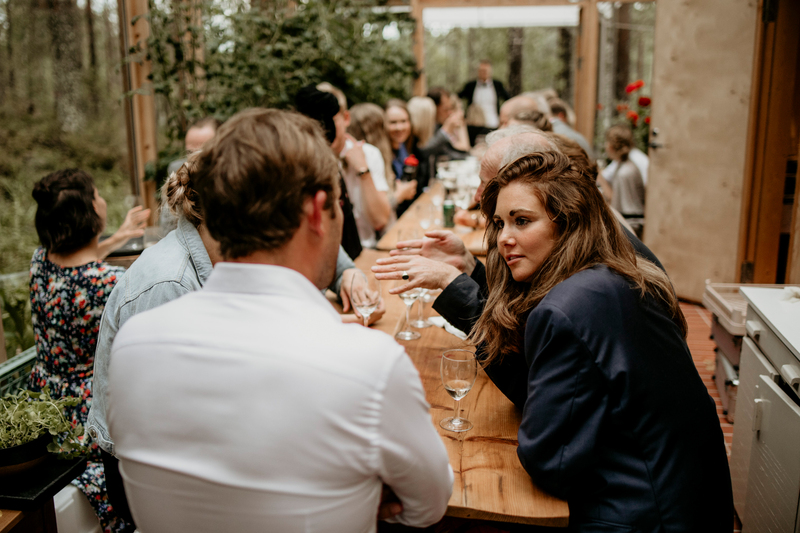 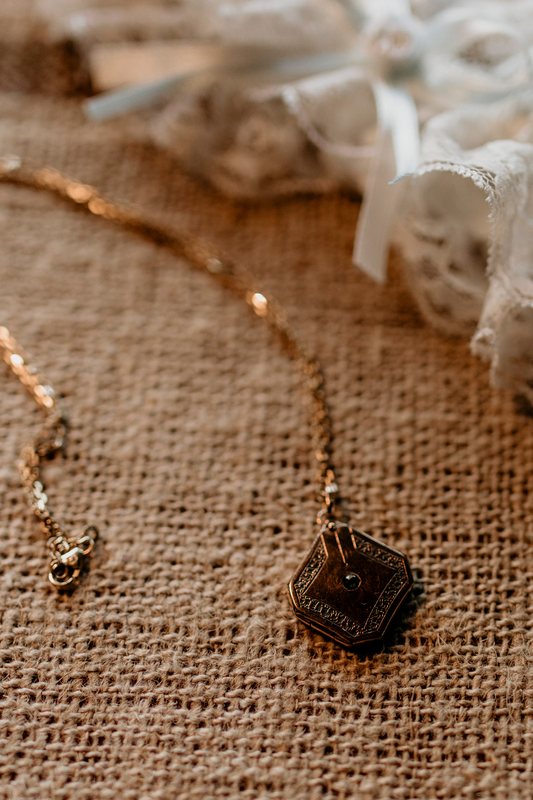 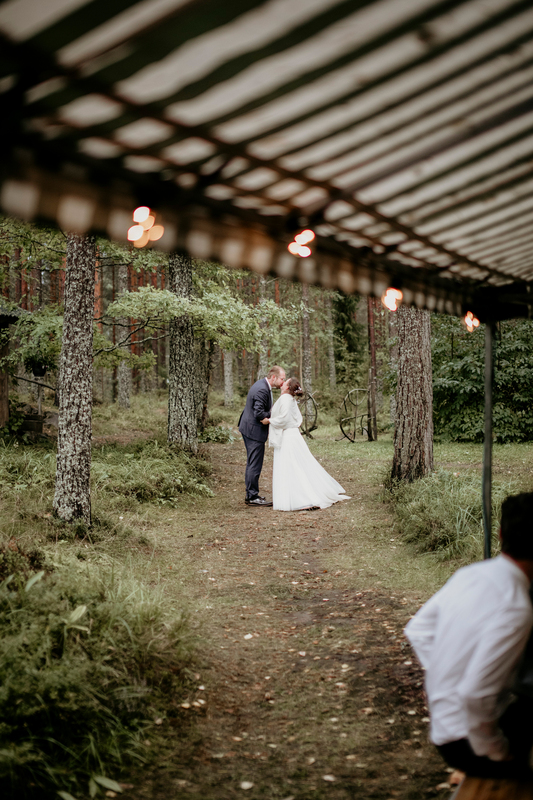 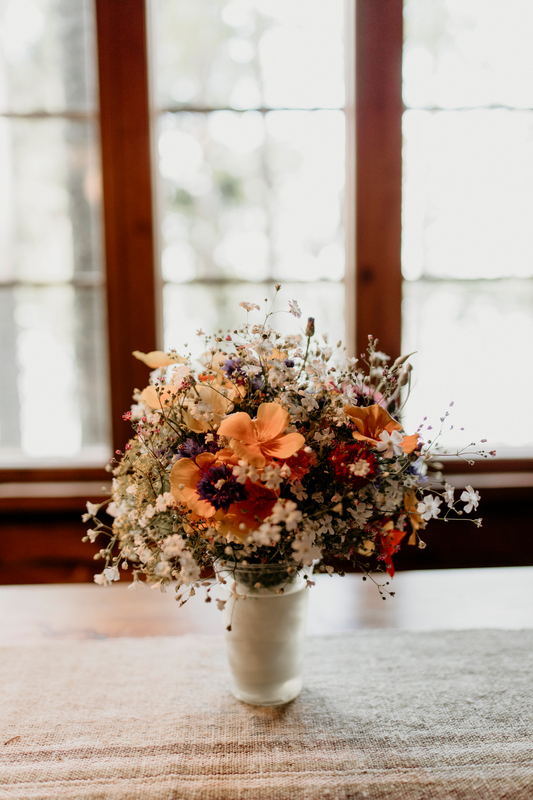 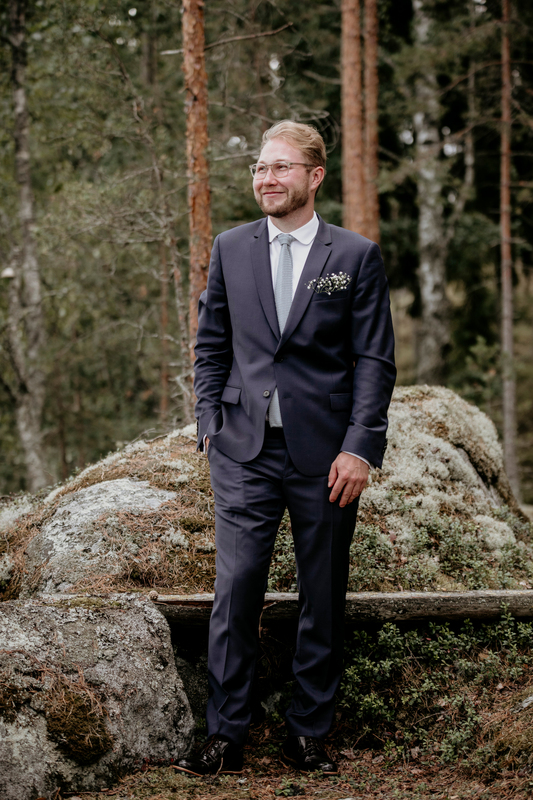 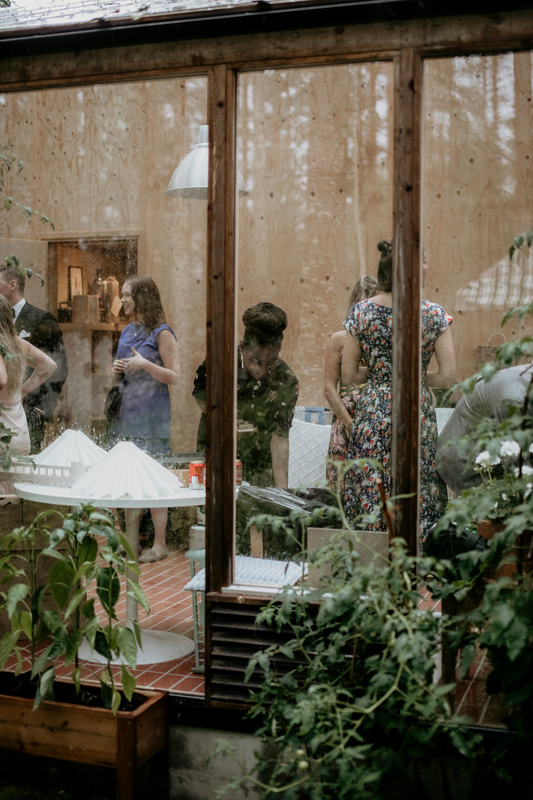 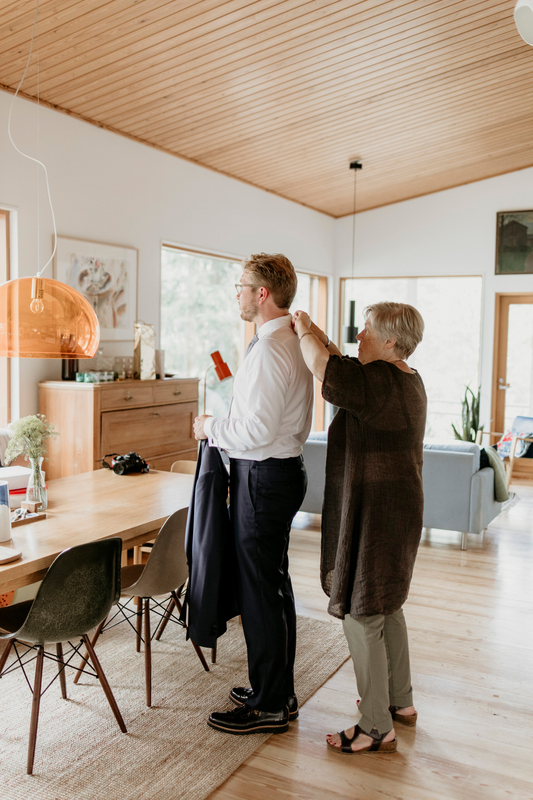 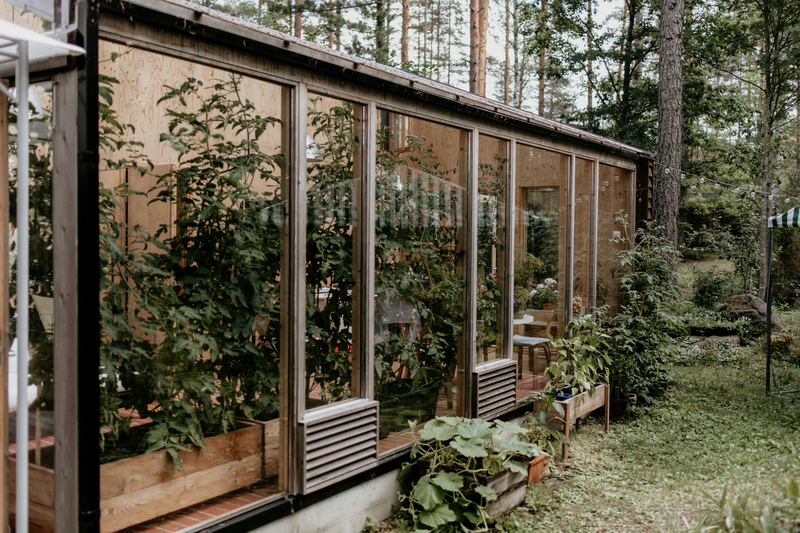 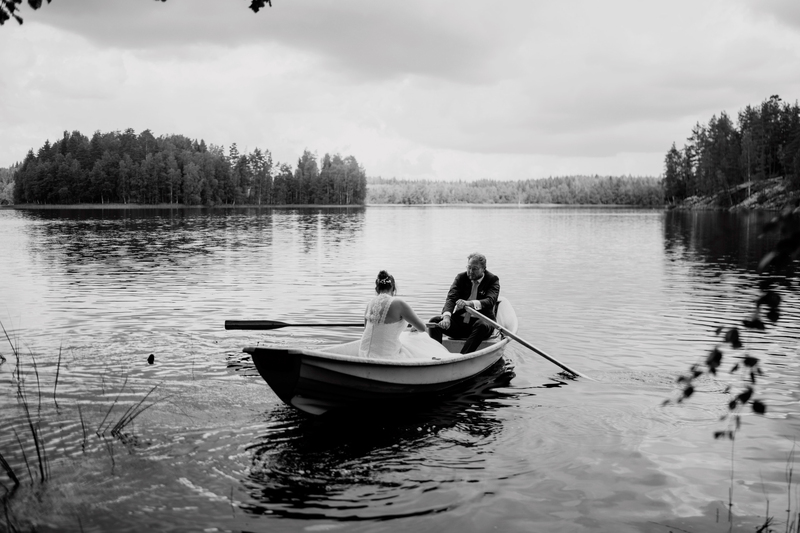 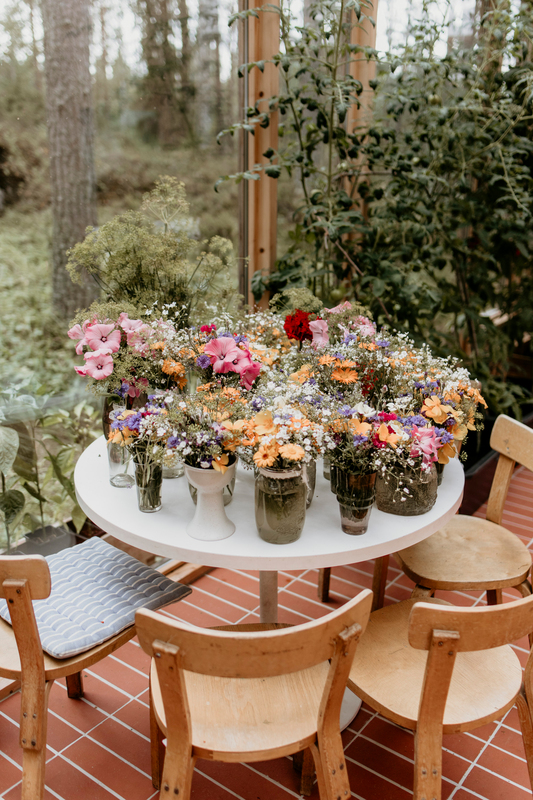 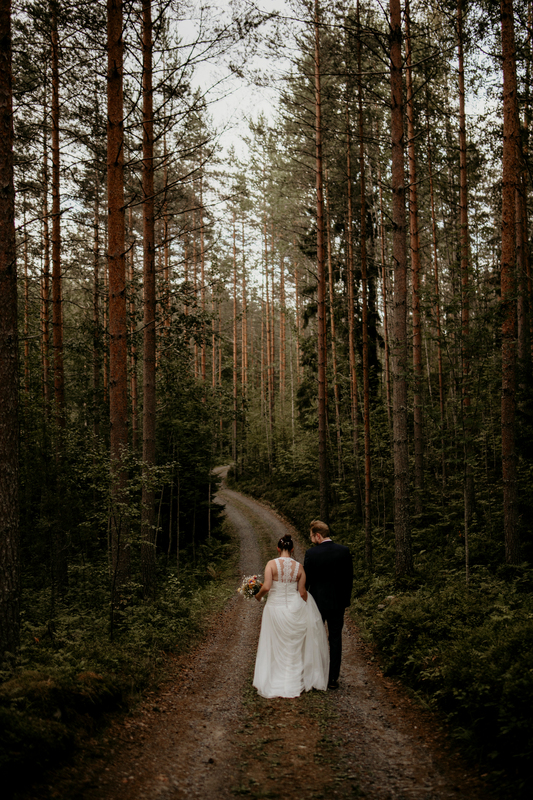 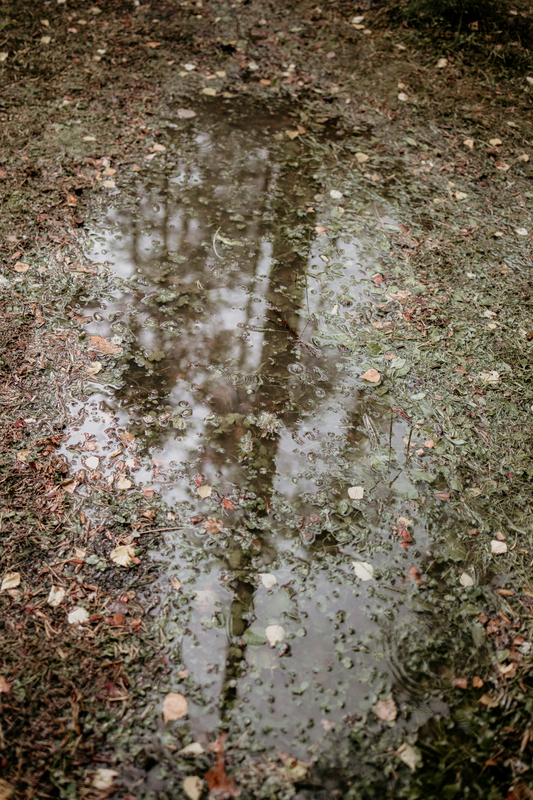 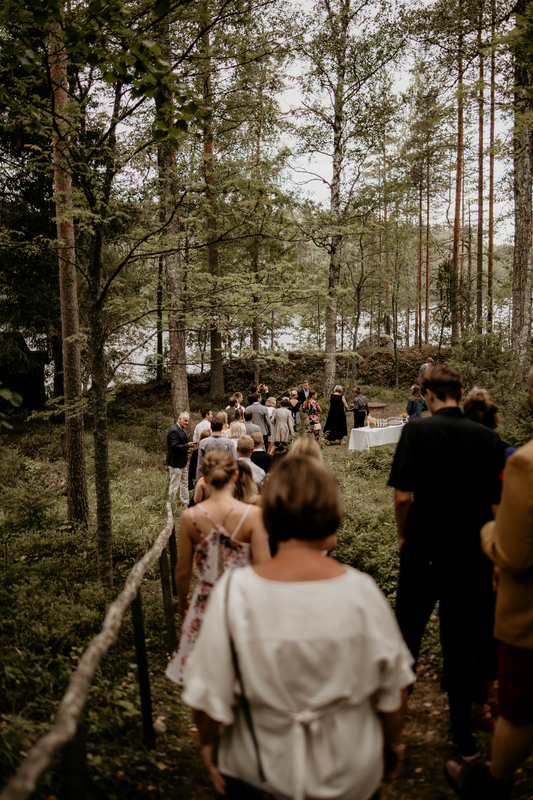 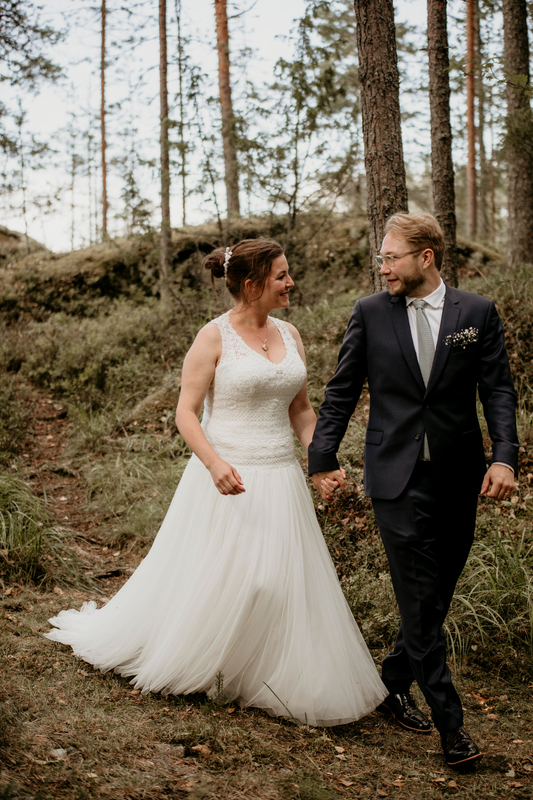 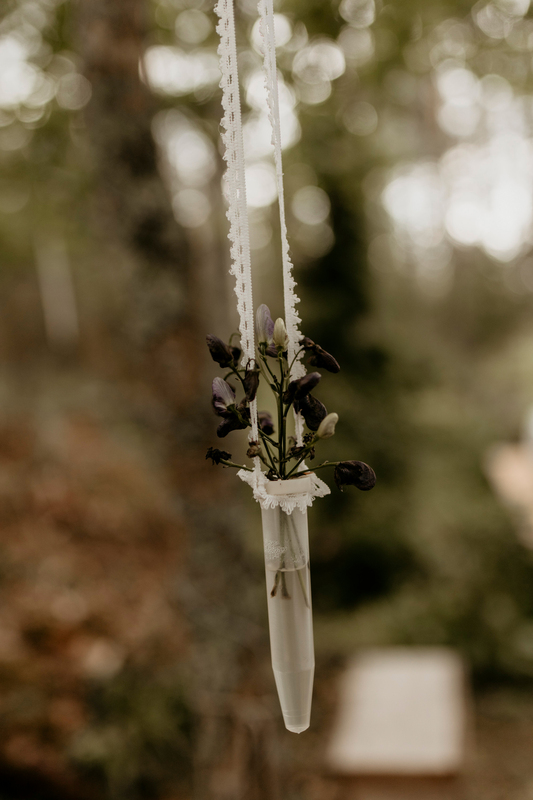 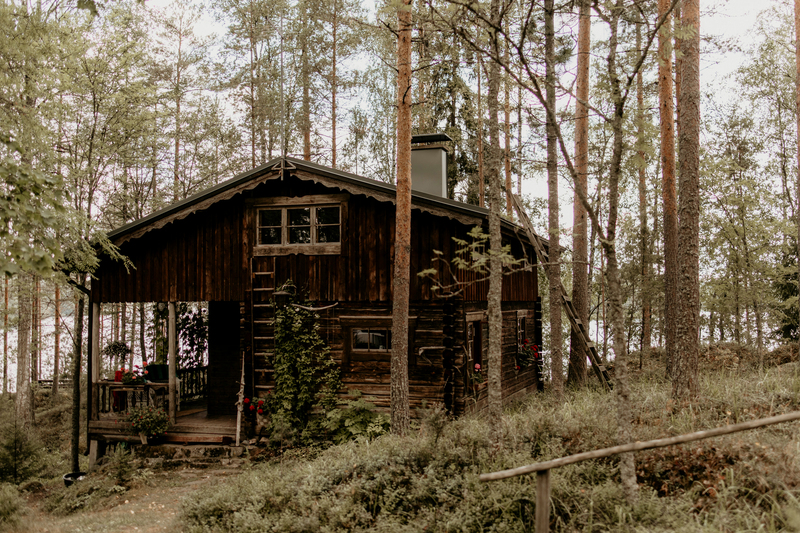 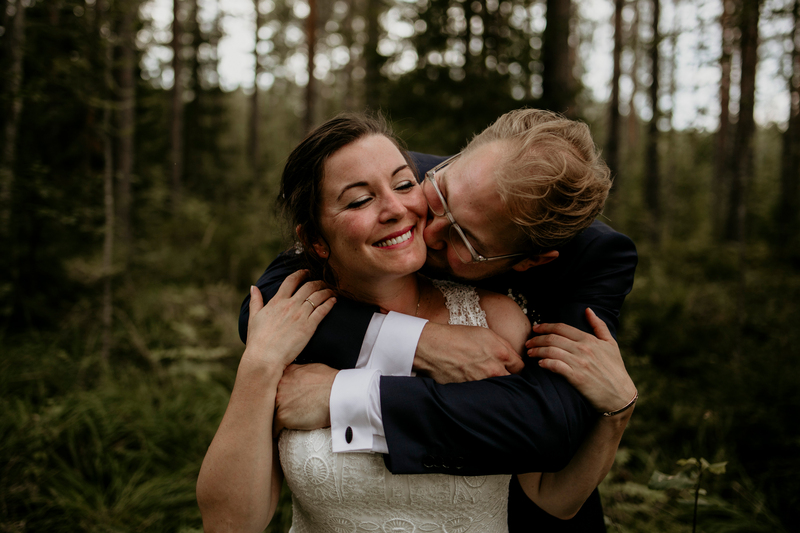 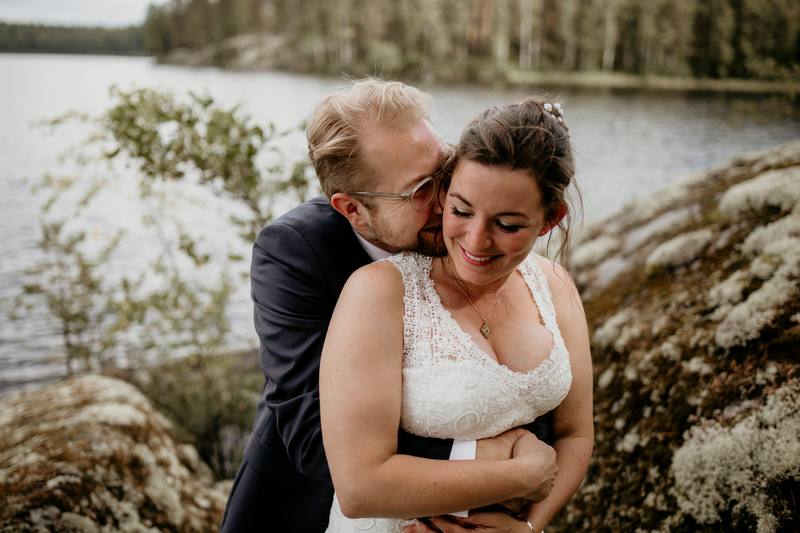 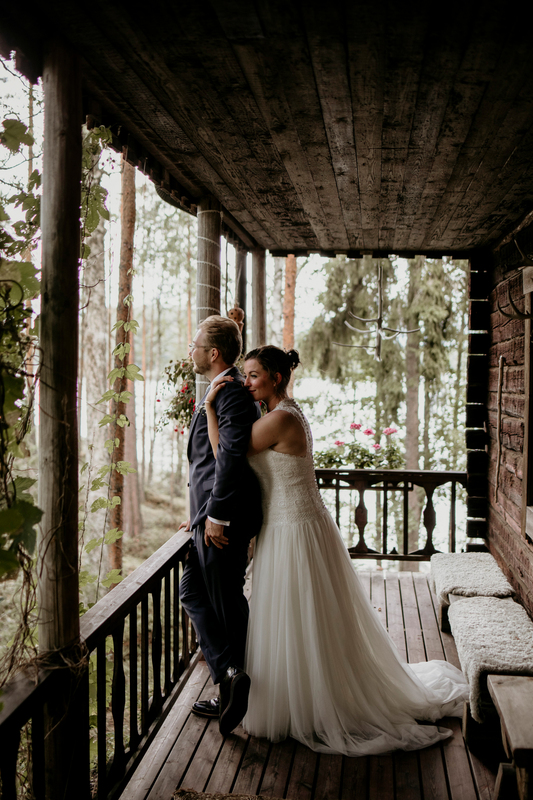 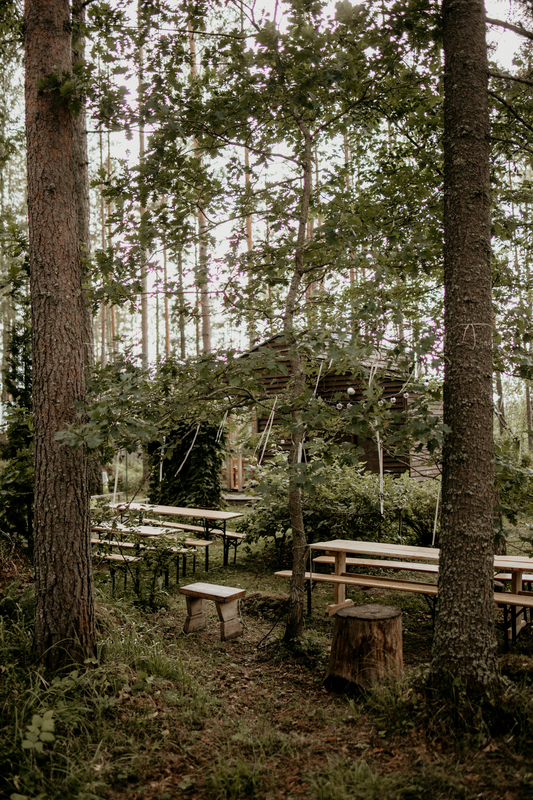 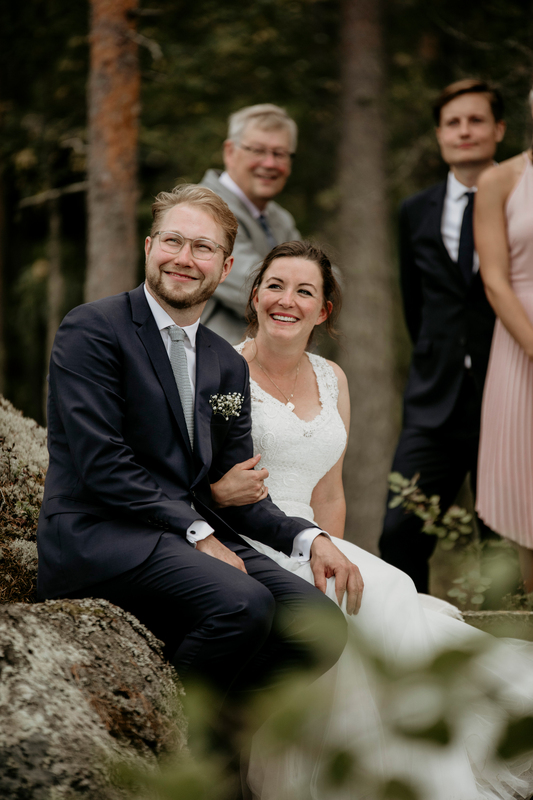 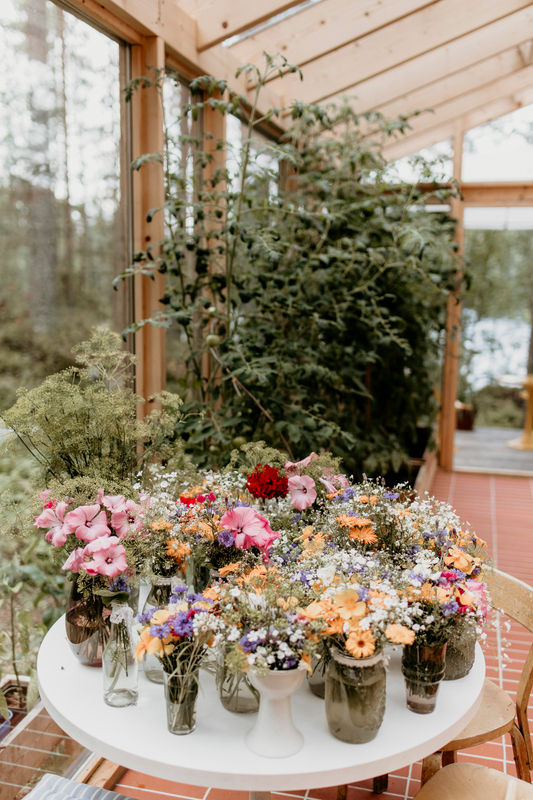 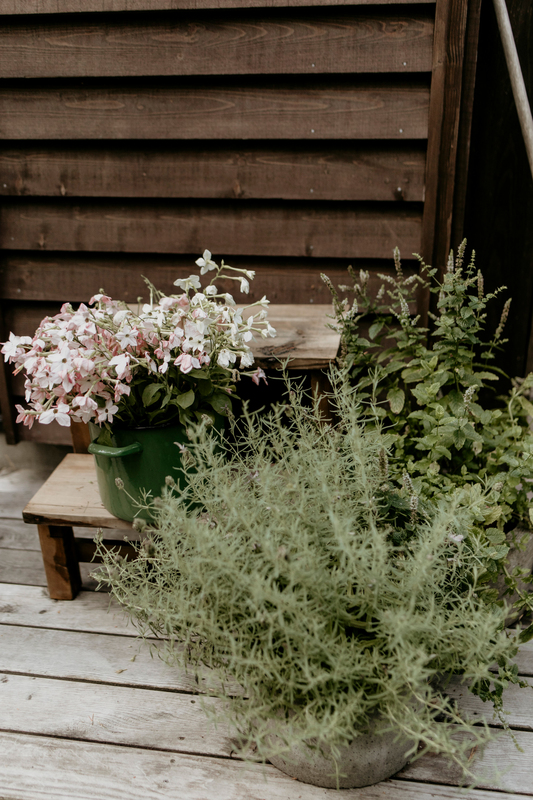 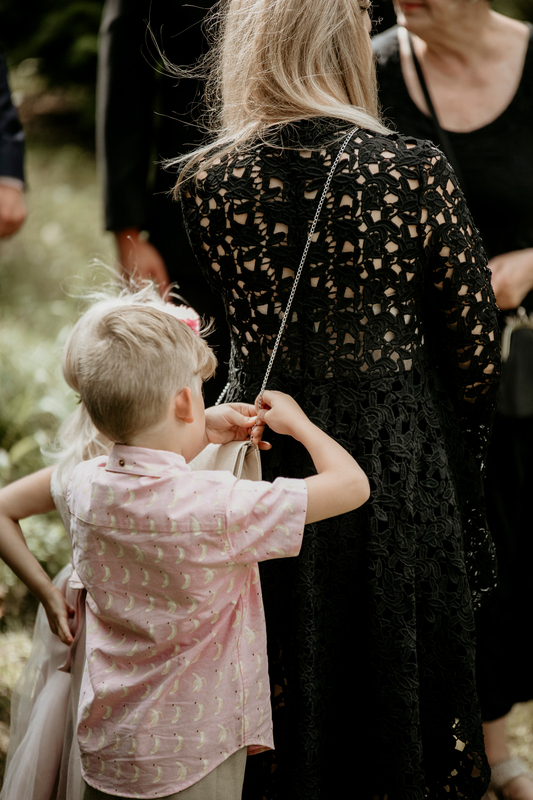 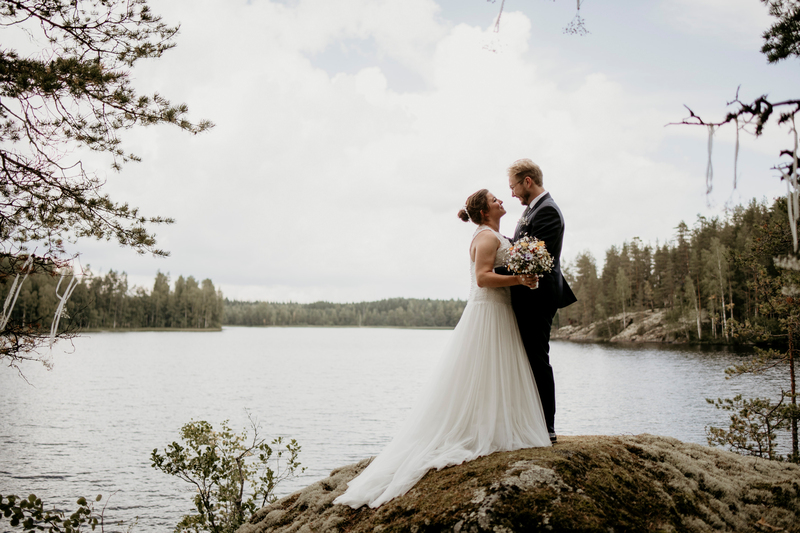 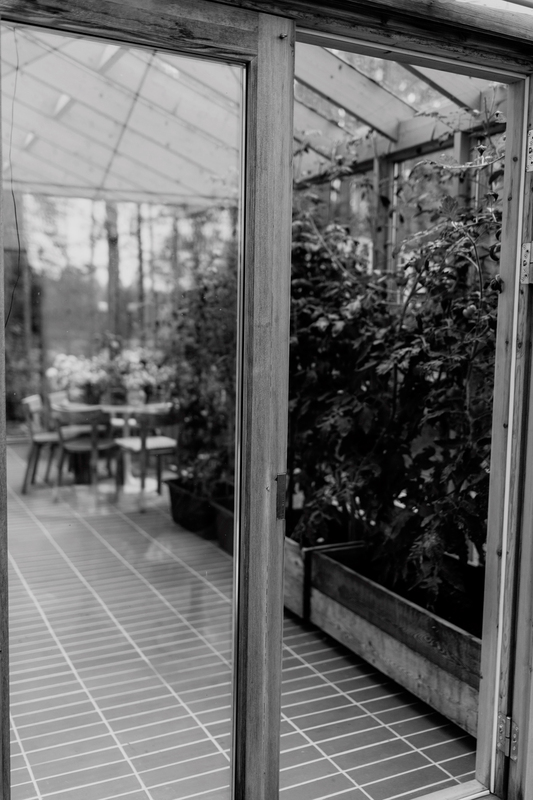 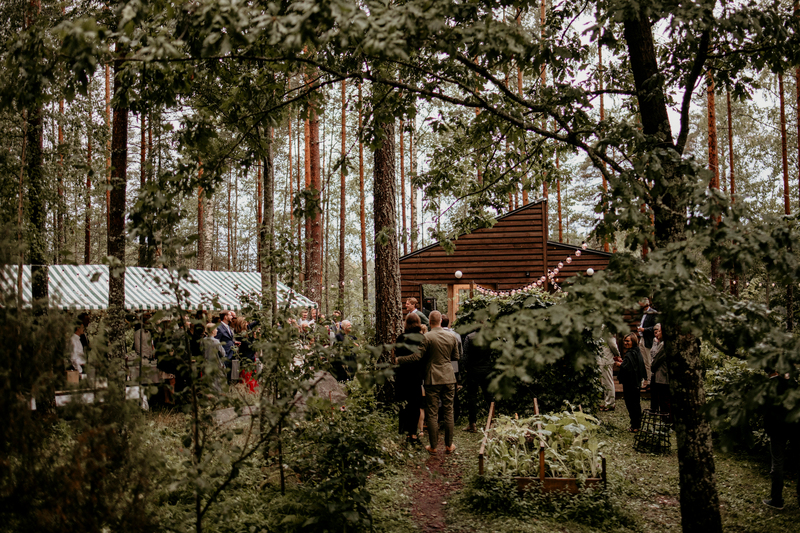 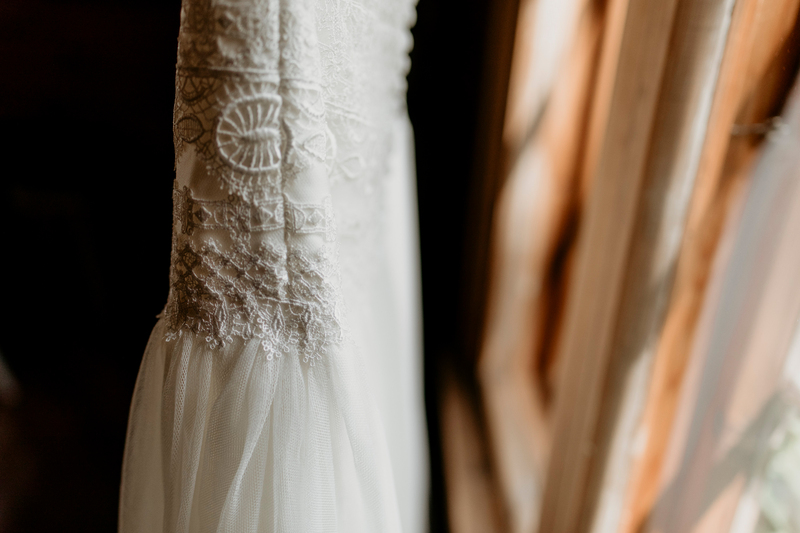 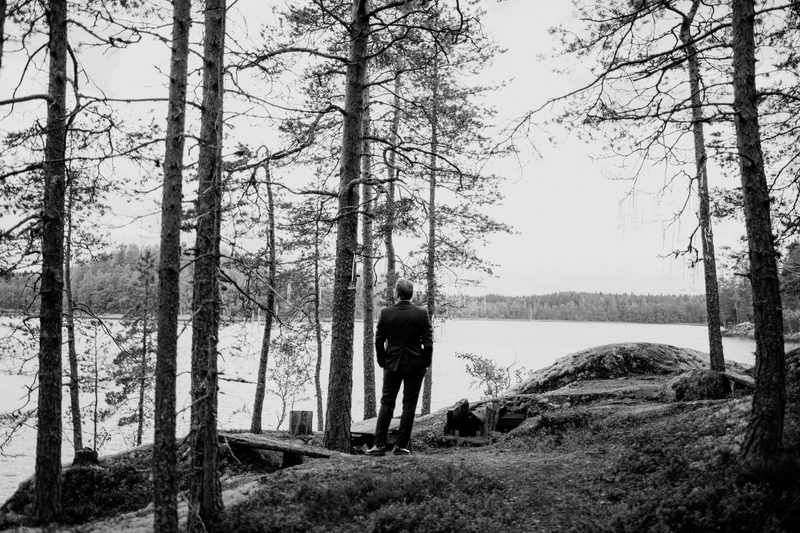 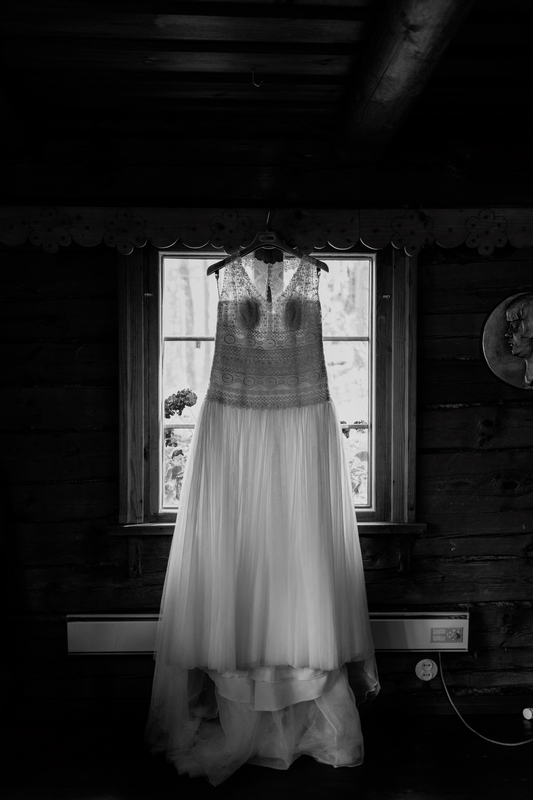 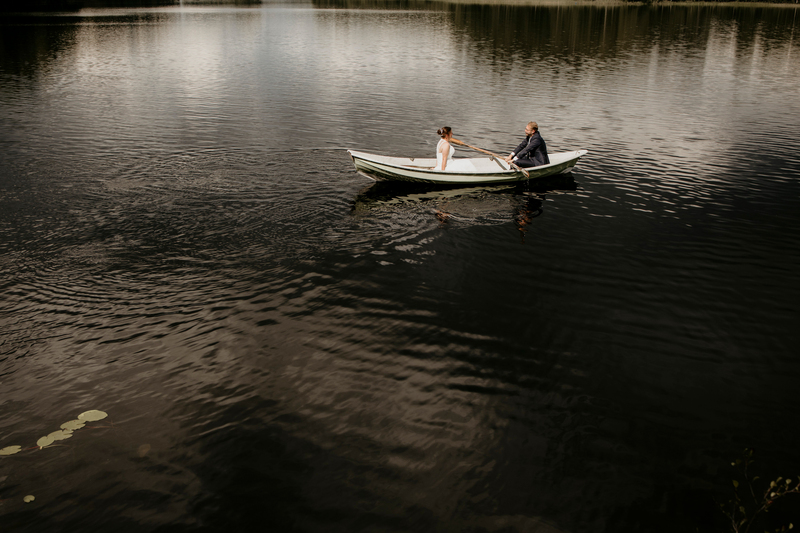 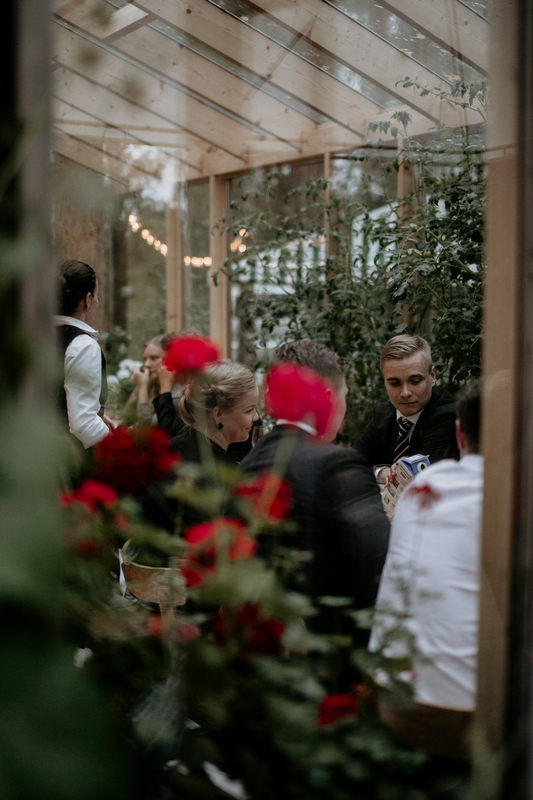 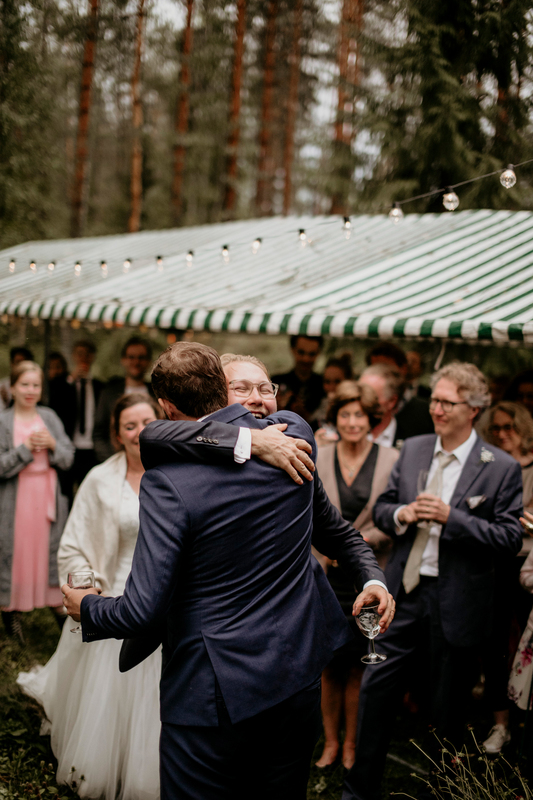 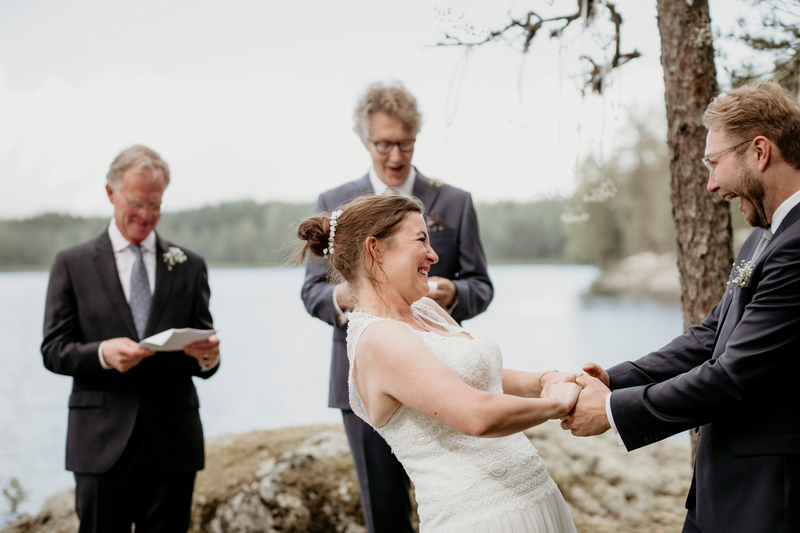 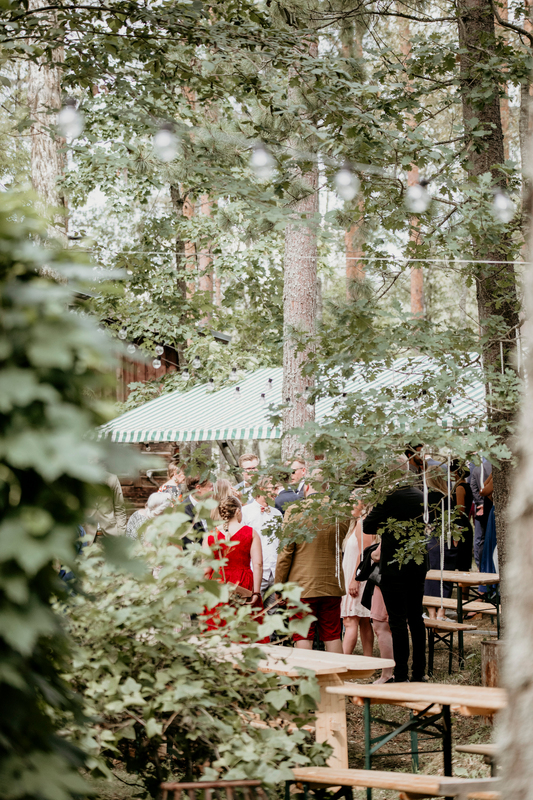 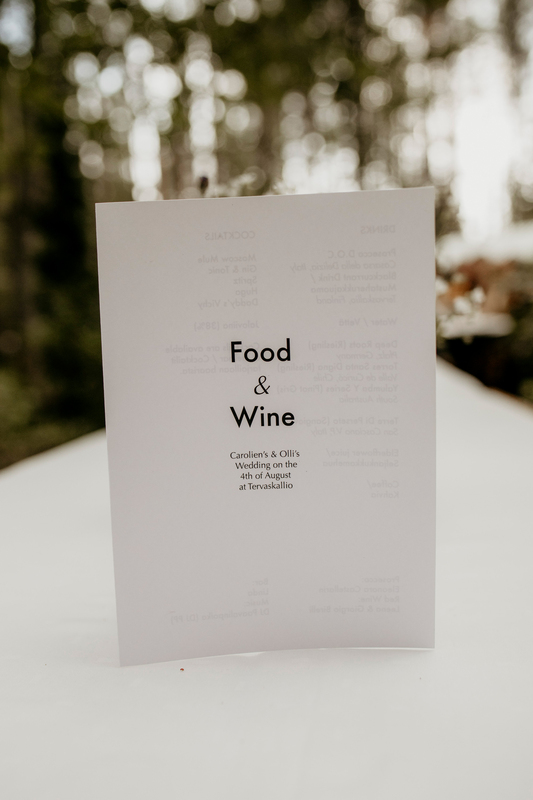 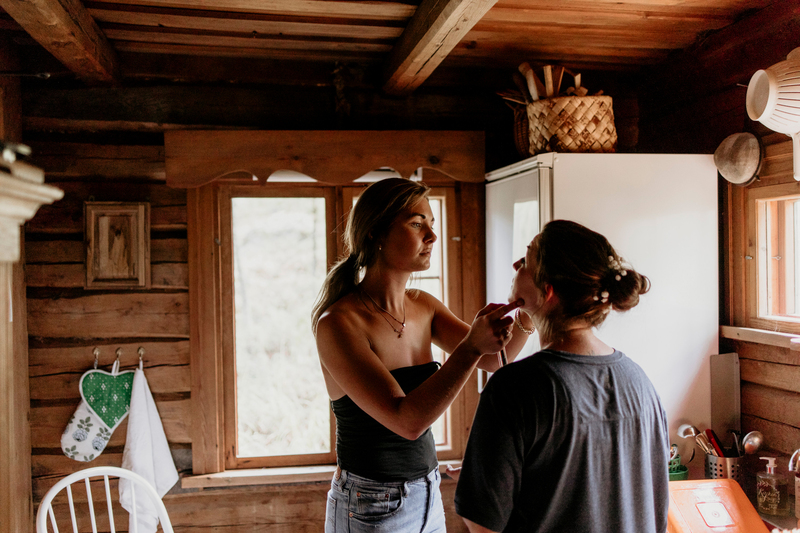 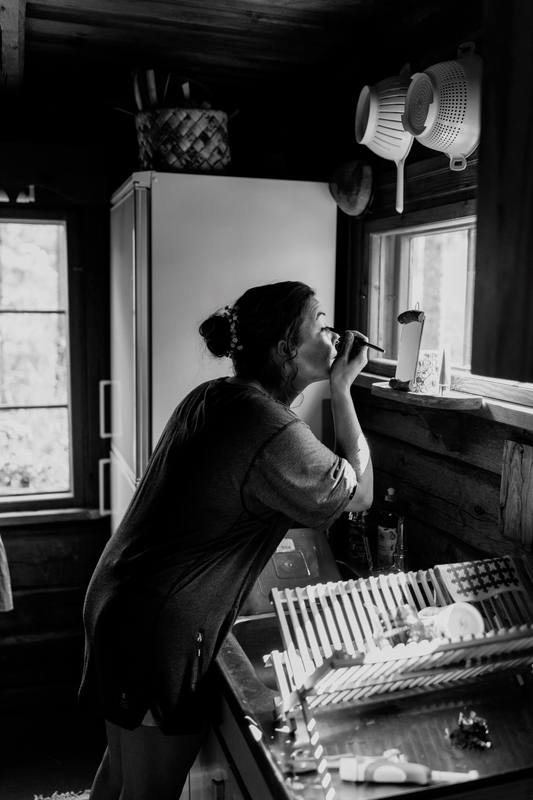 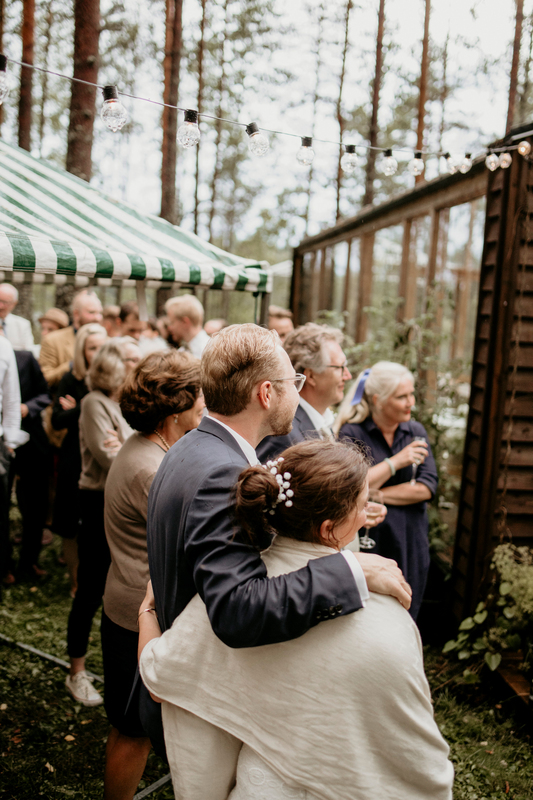 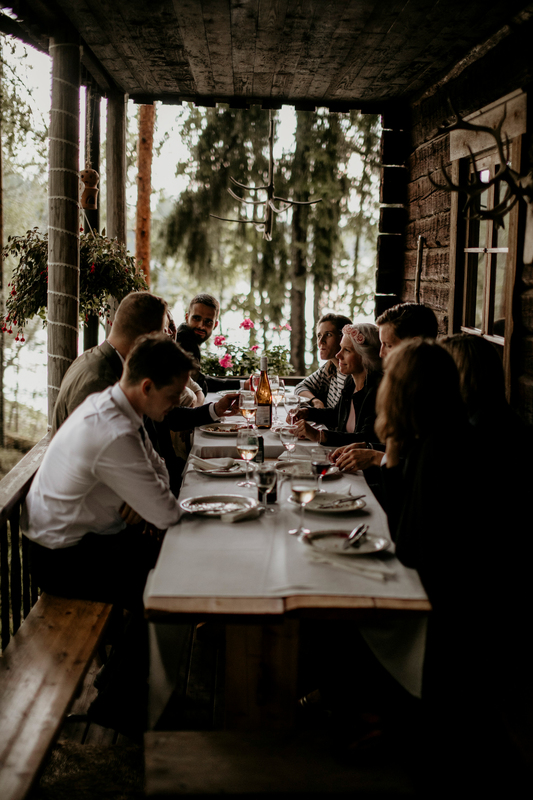 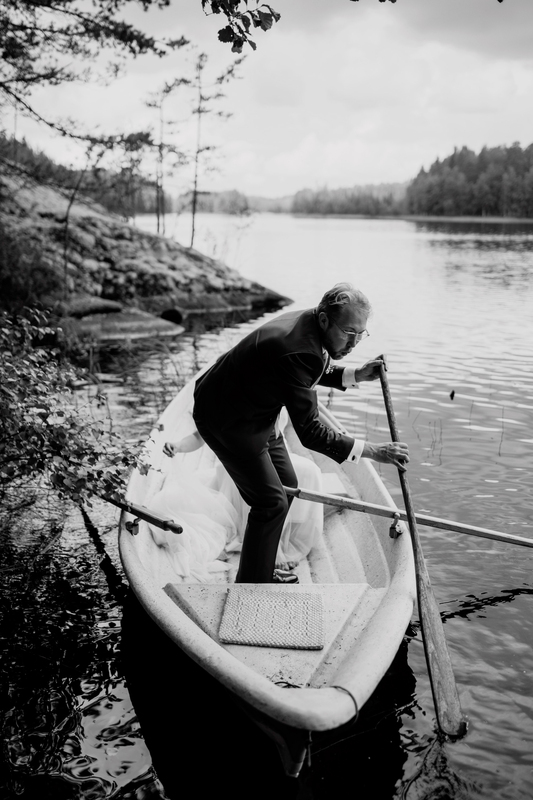 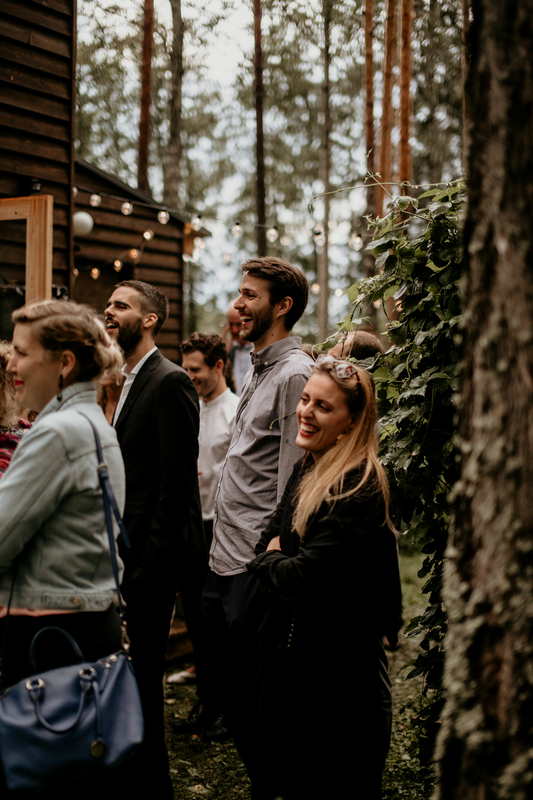 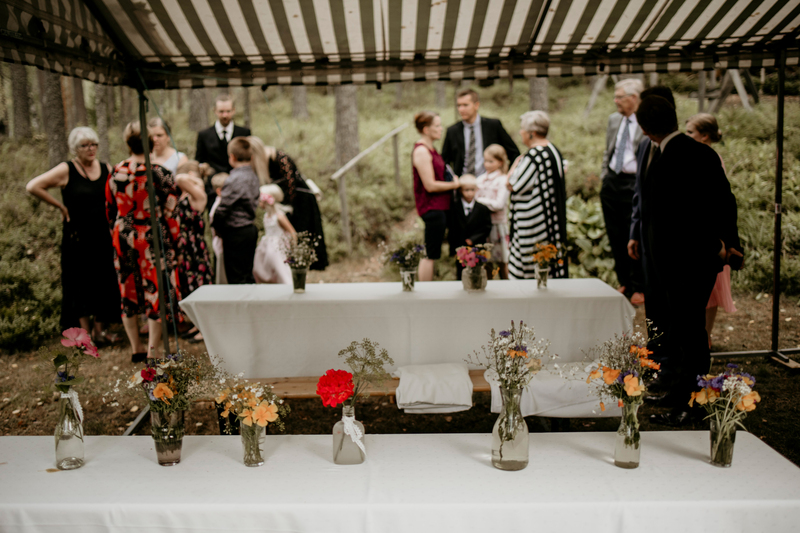 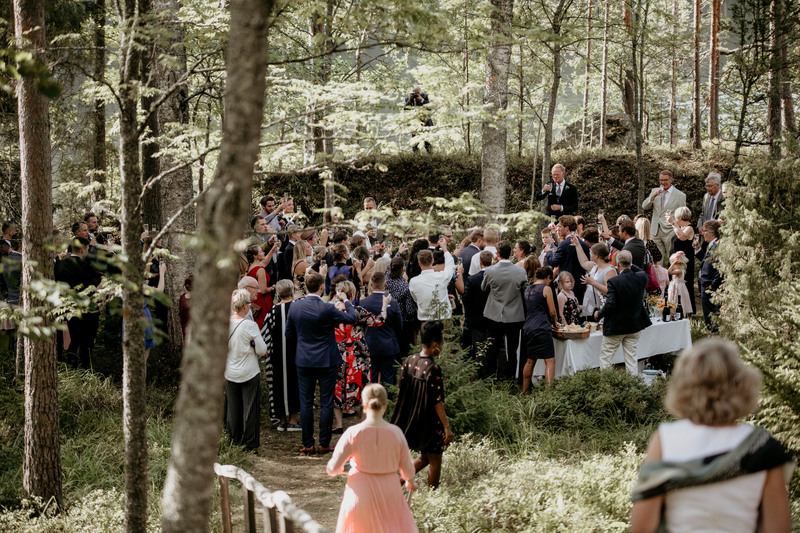 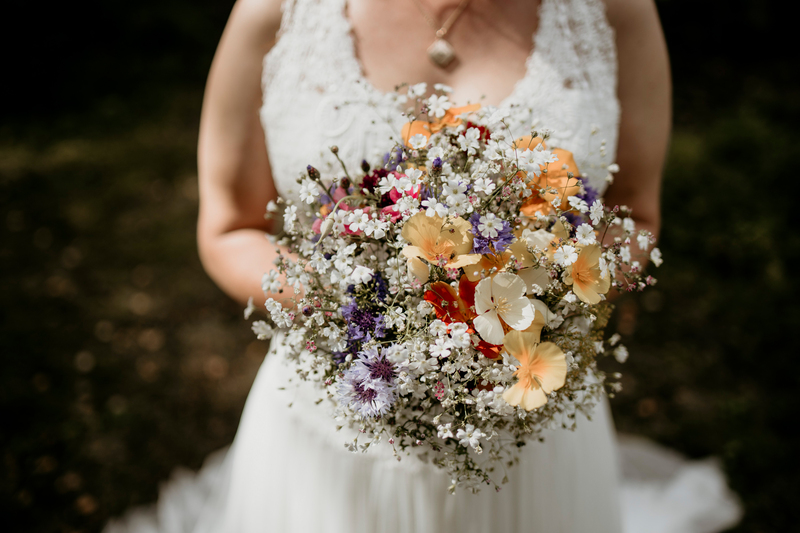 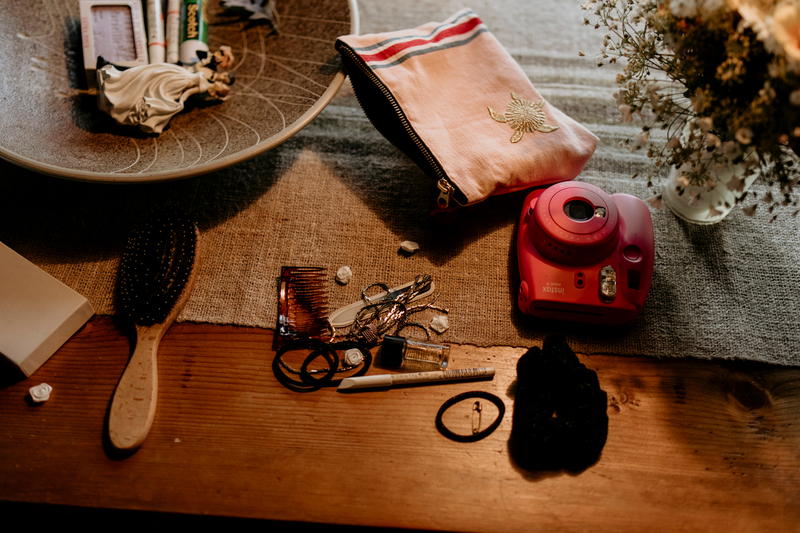 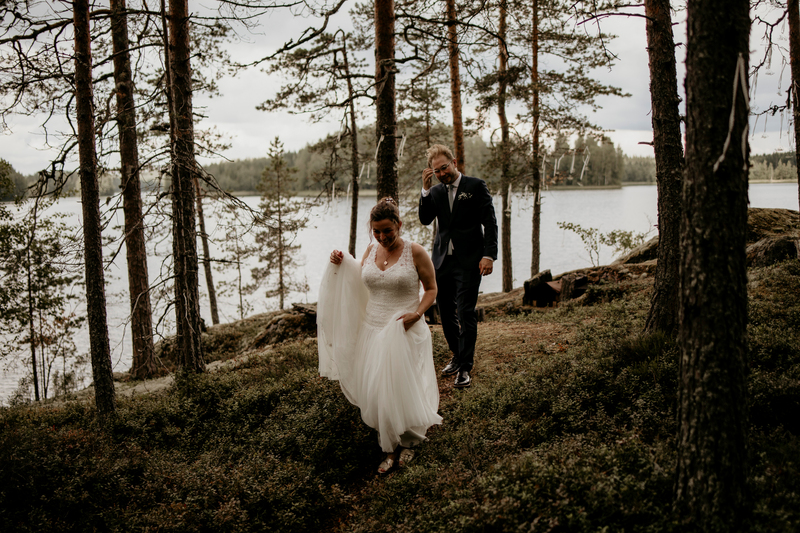 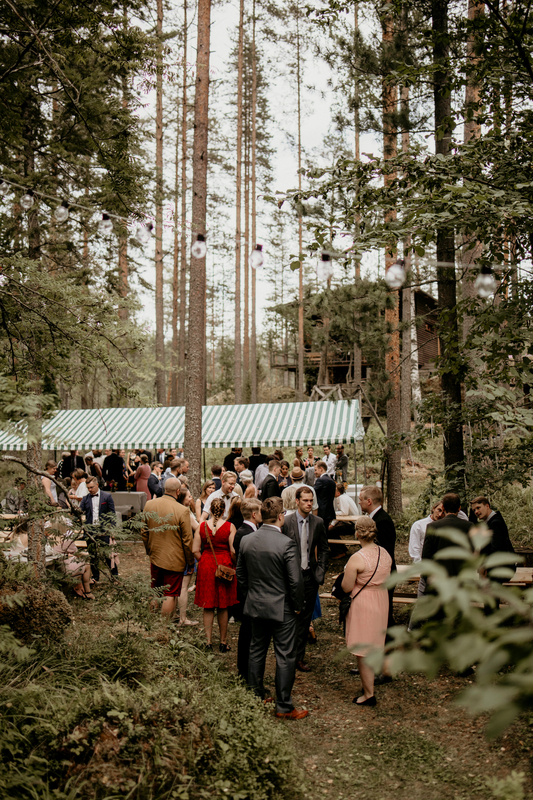 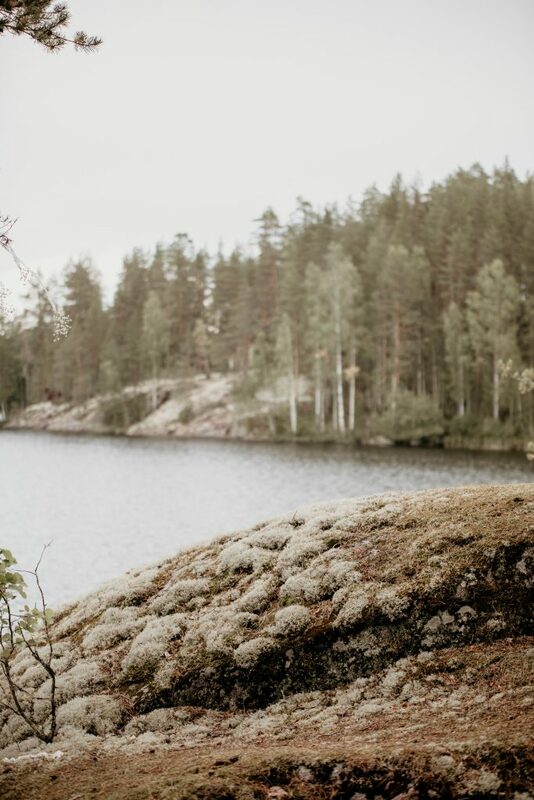 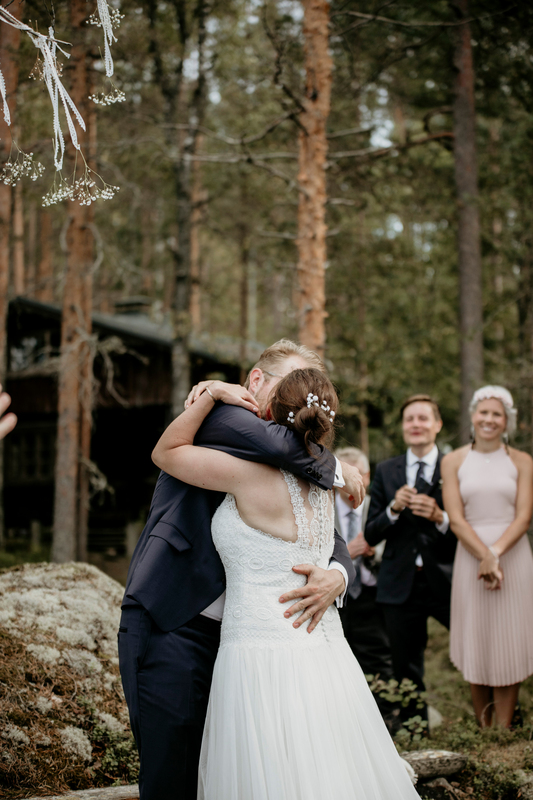 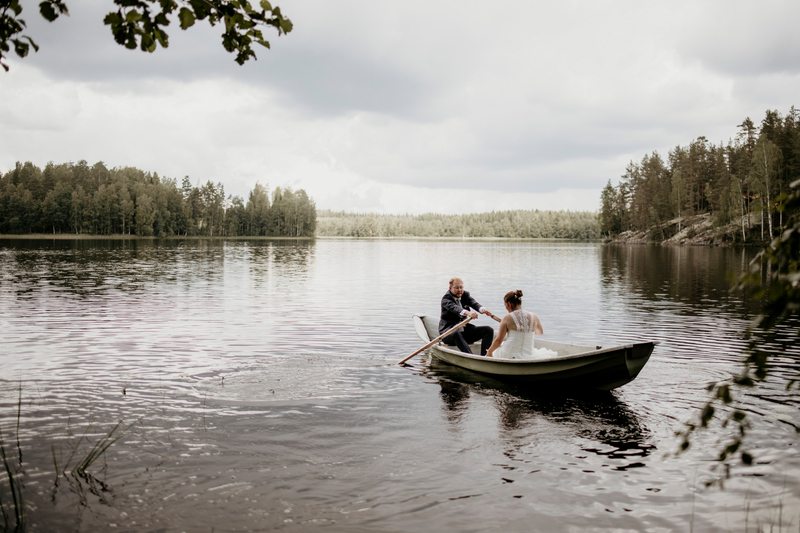 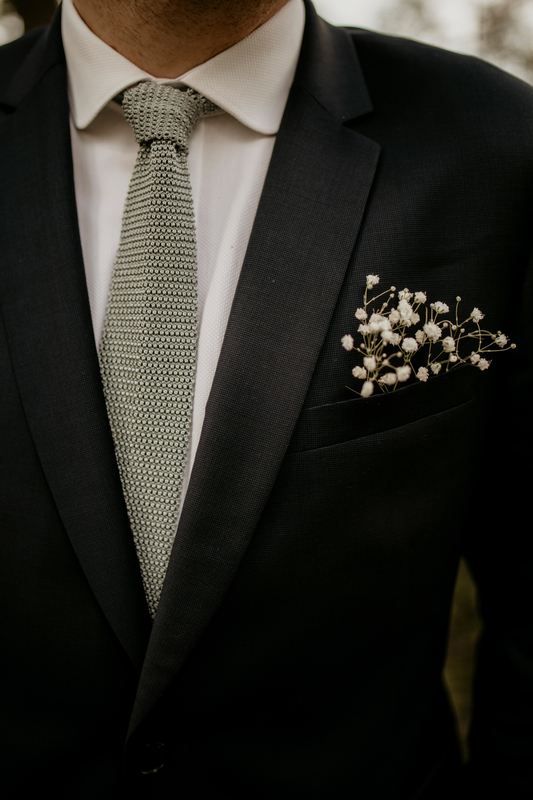 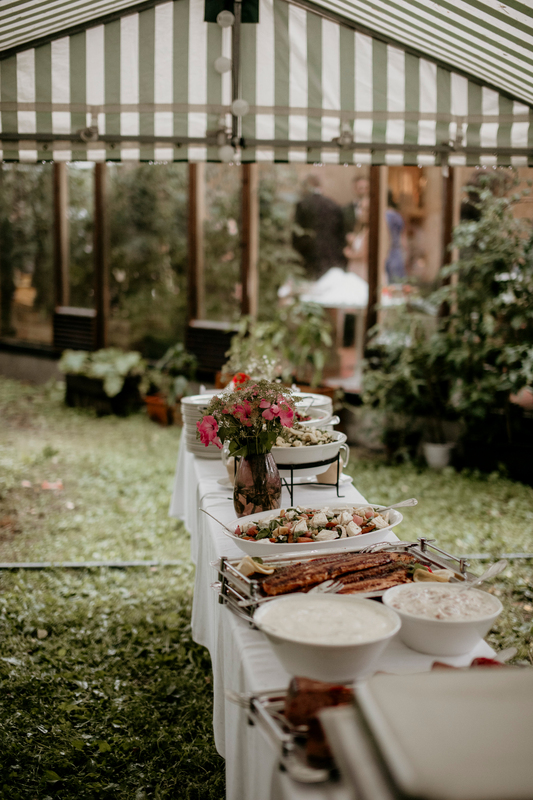 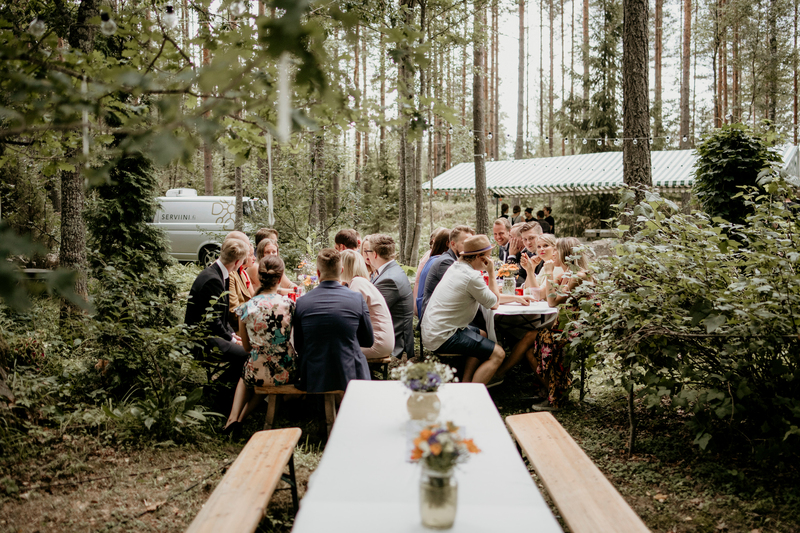 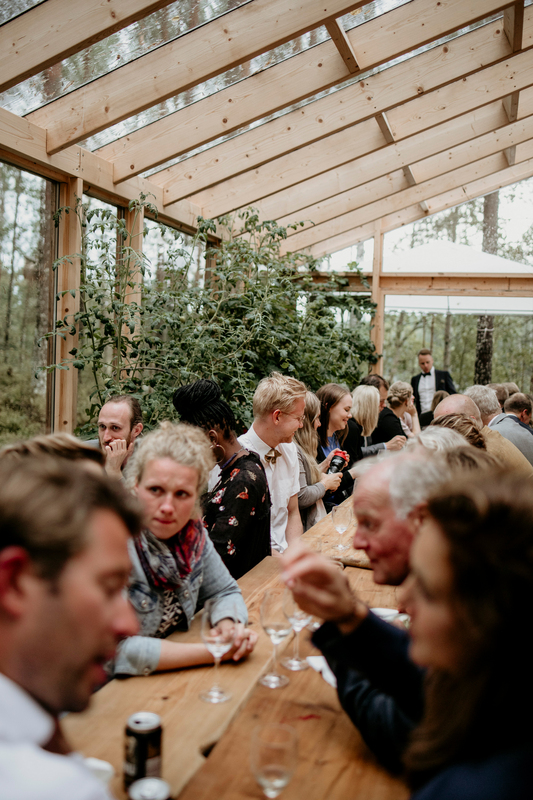 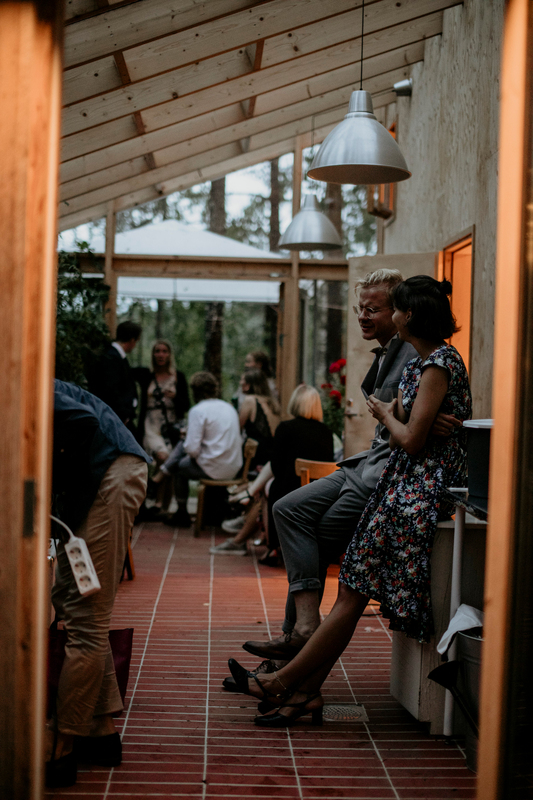 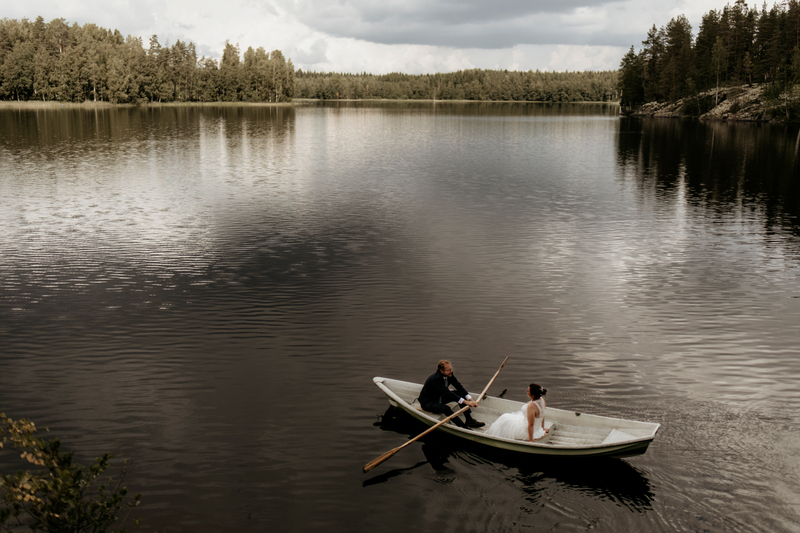 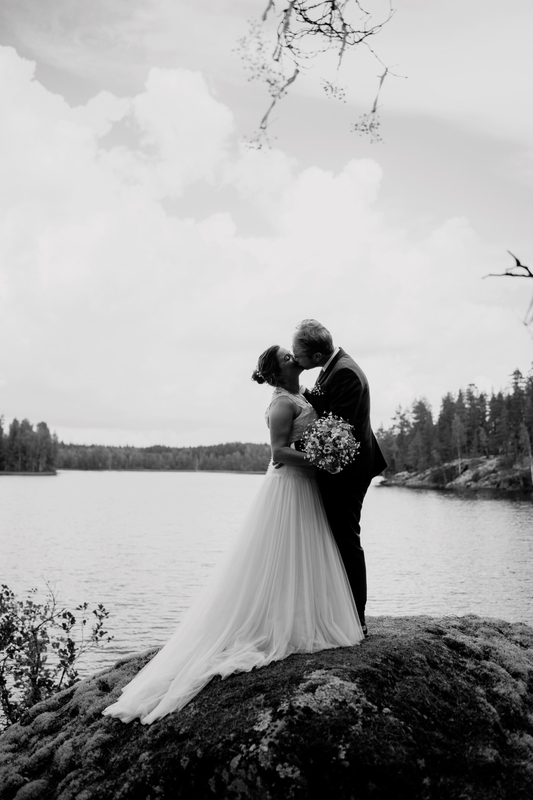 Their gorgeous cabin wedding was held at Olli’s parents cabin by a lake in Mikkeli. 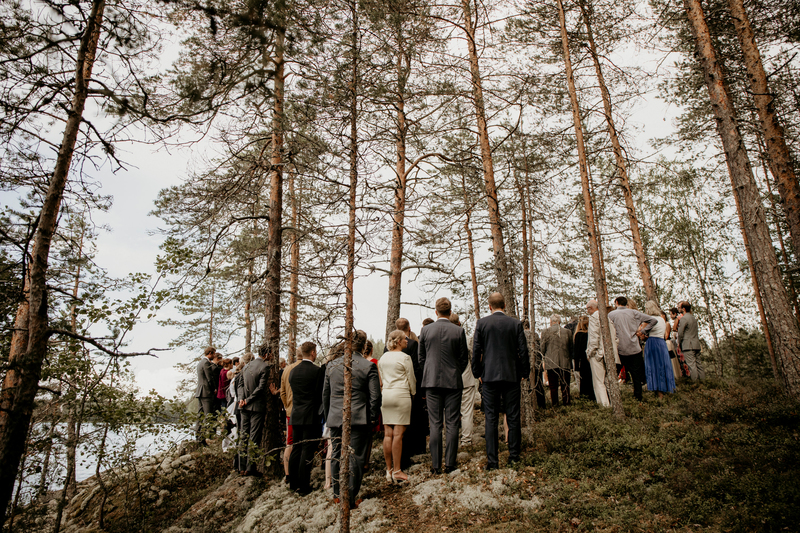 The ceremony took place by the water as they were surrounded with their closest friends and family. 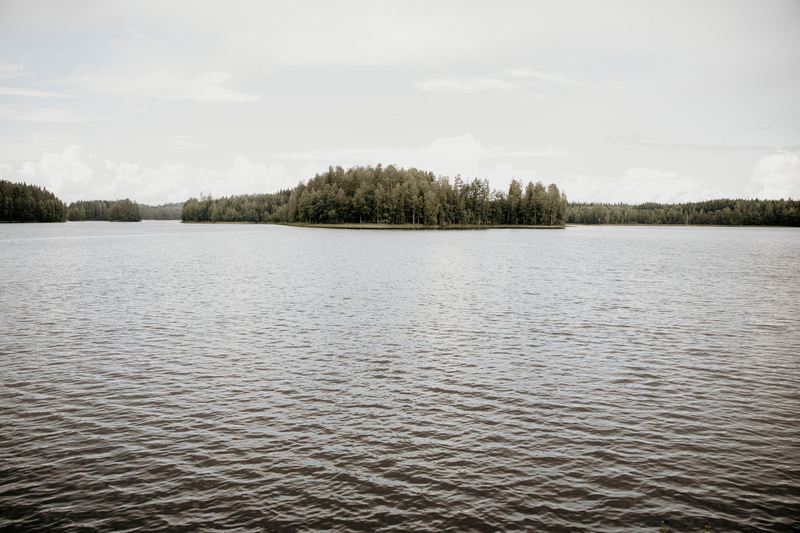 Surprisingly, it was the hottest summer in Finland in over 200 years and the air was thick. 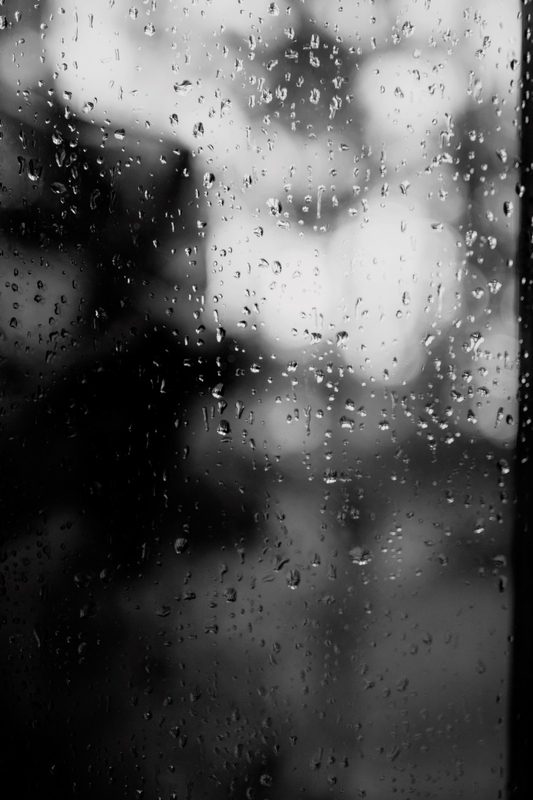 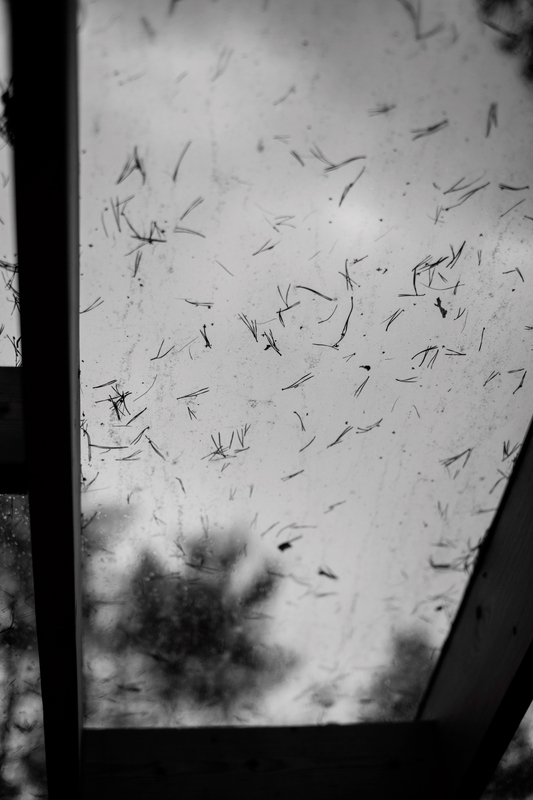 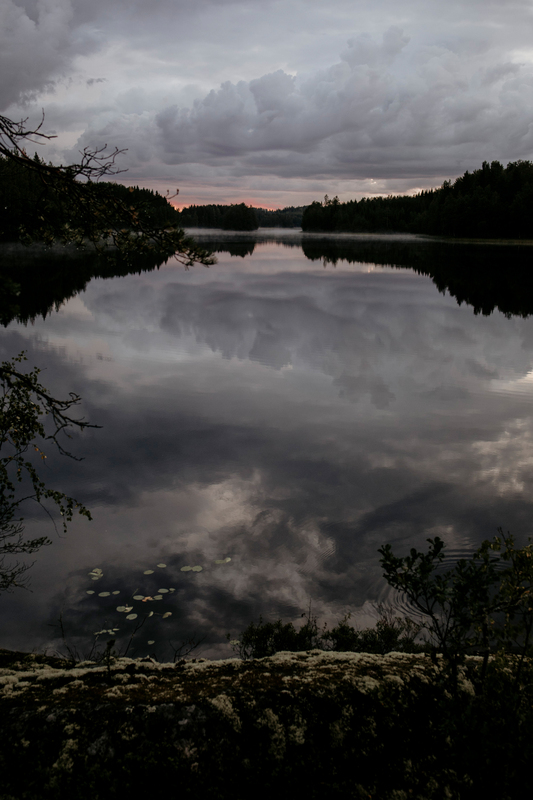 In the evening, strong rain and thunder swiped across the lake. 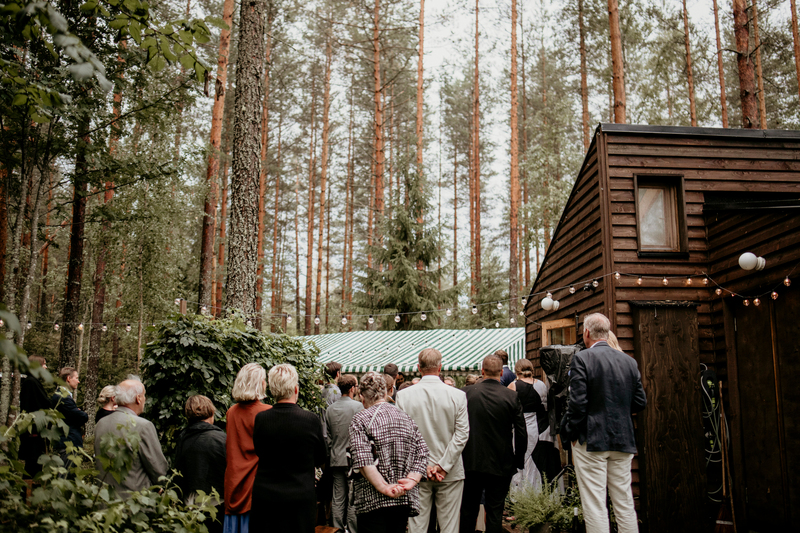 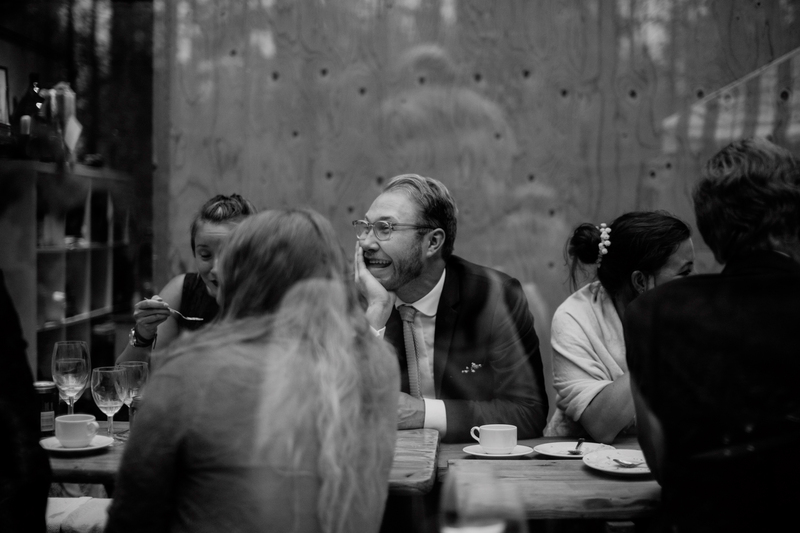 However, nothing made this wedding more perfect than people cuddled up close and warm inside small cabin houses. 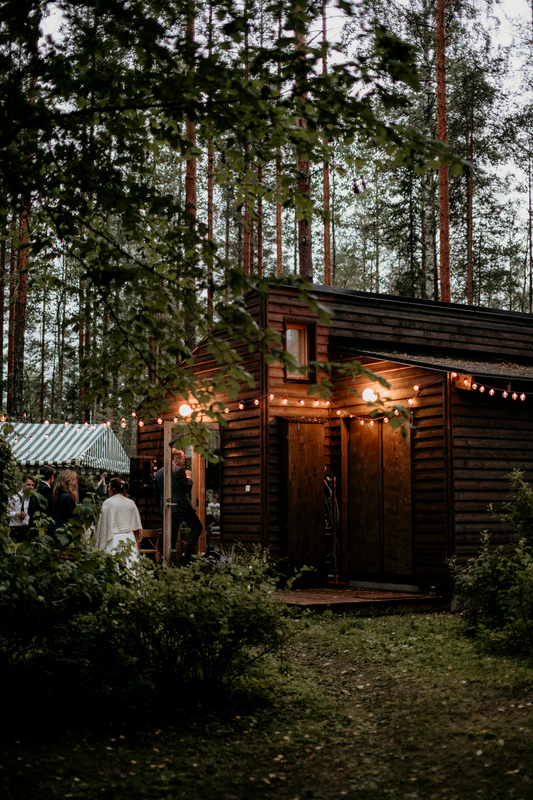 As the evening finally got dark, the entire cabin area was light up with dozens of lights and candles. 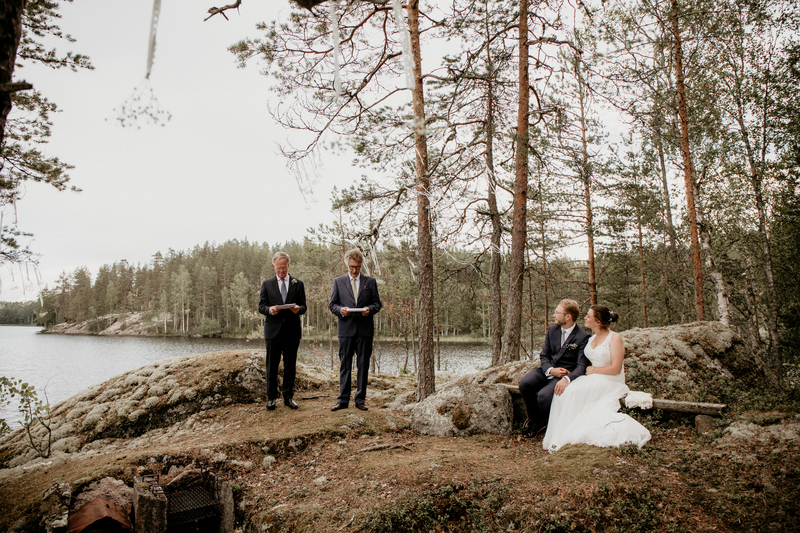 Amazingly, only the calm lake and dark forest around us. 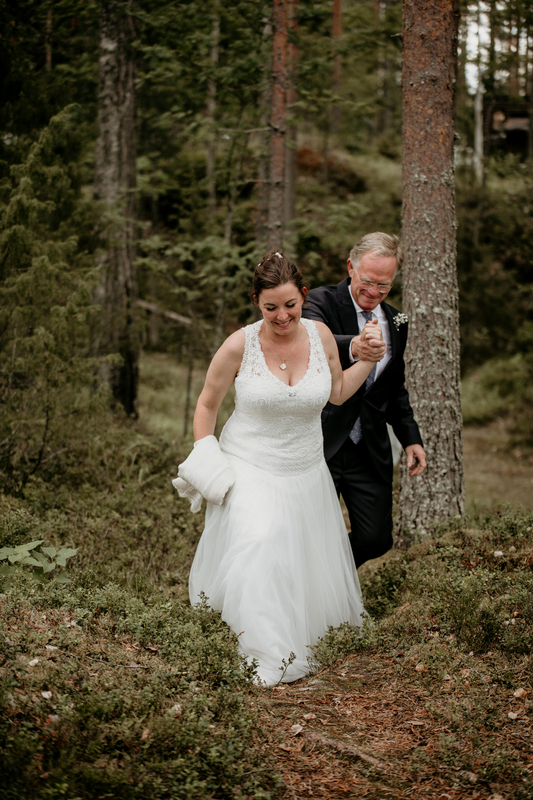 As I left the wedding and walked away through a narrow forestry road, I could slightly hear the music and laughter far in the distance. 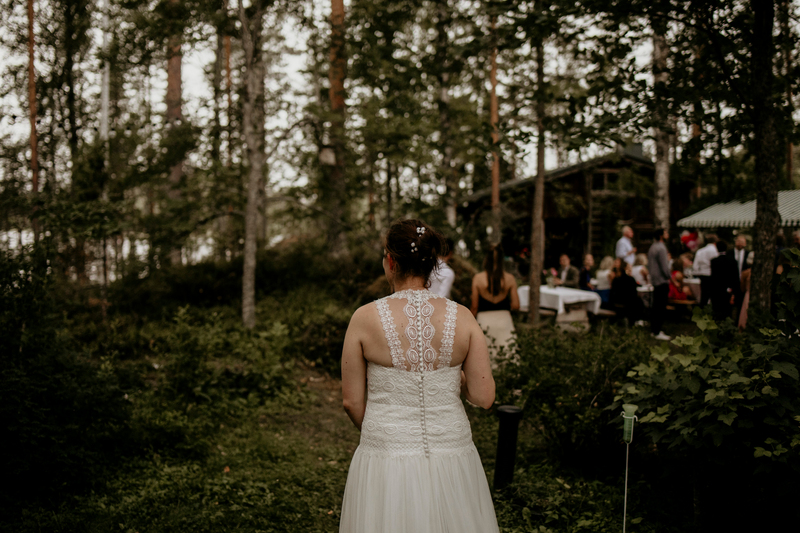 It was the perfect ending to a perfect day.